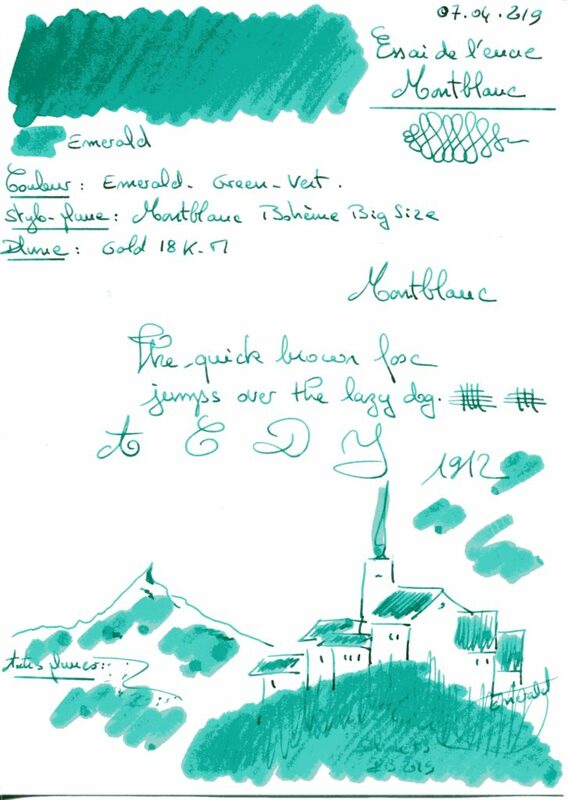 This entry was posted in Green Inks, Montblanc on 7 April 2019 by Pascal. 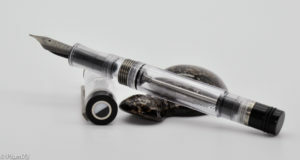 This entry was posted in Green Comparatives on 7 April 2019 by Pascal. 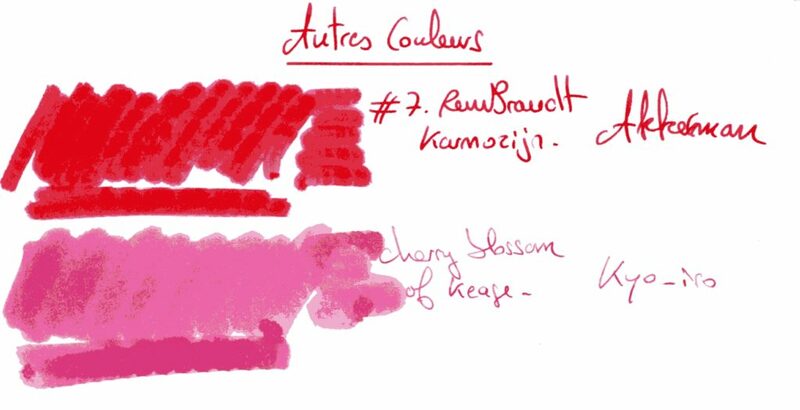 This entry was posted in Kyo-iro, Red Inks on 26 March 2019 by Pascal. 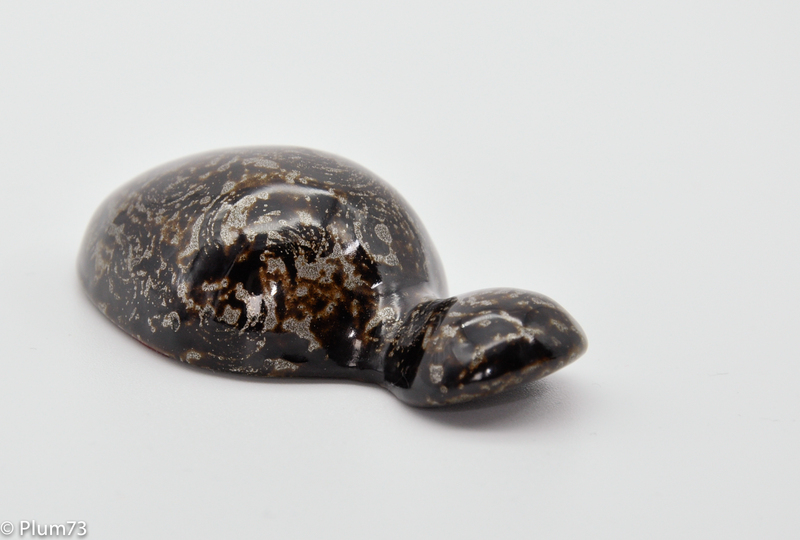 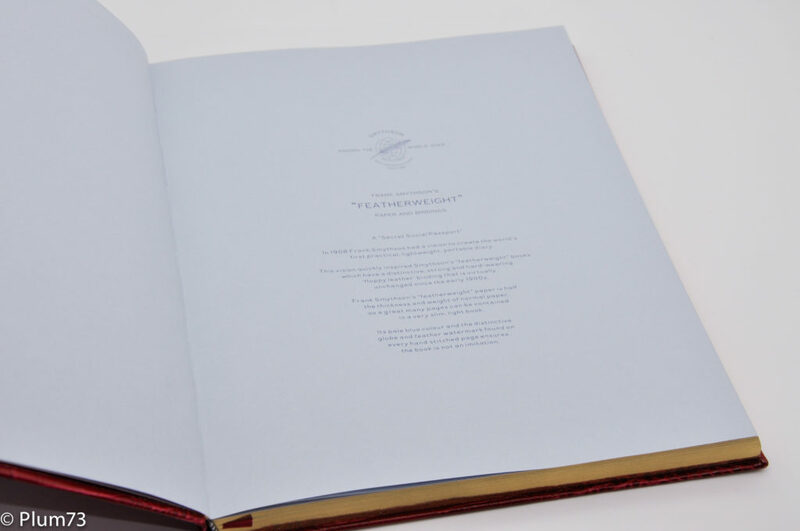 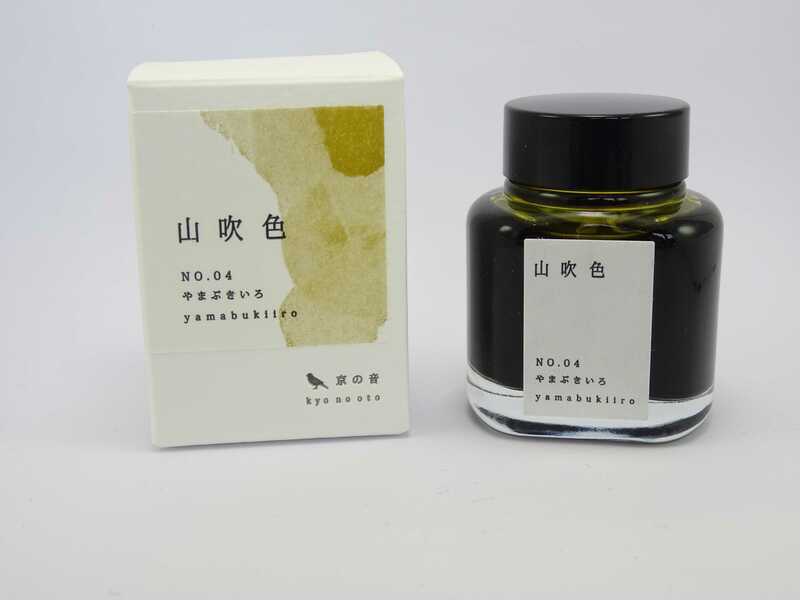 This entry was posted in Ink bottles on 26 March 2019 by Pascal. 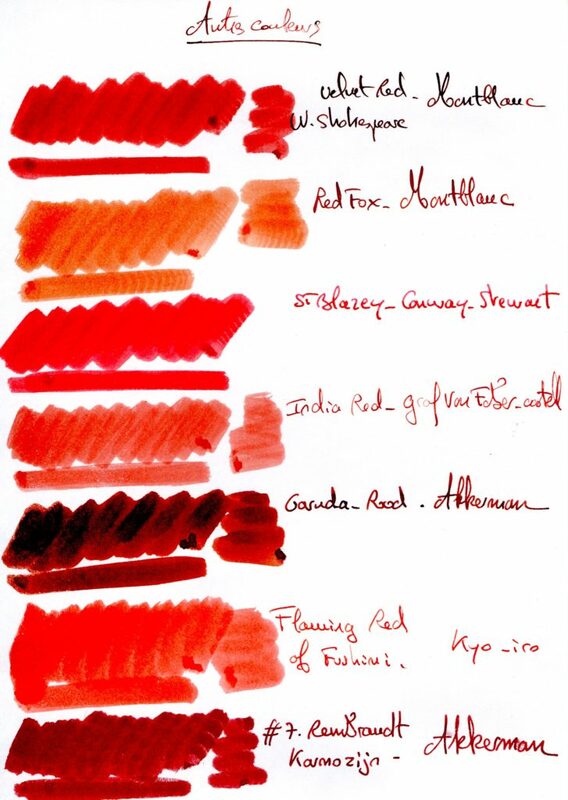 This entry was posted in Red Comparatives on 26 March 2019 by Pascal. 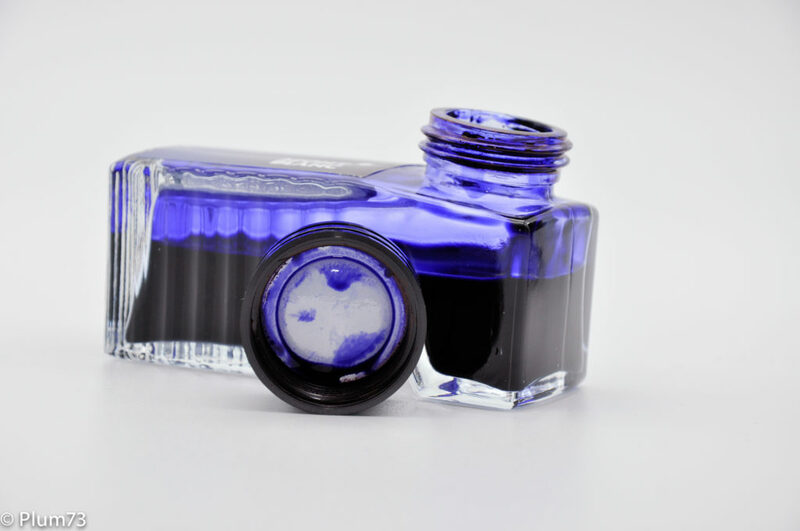 This entry was posted in Blue-Black Comparatives on 24 March 2019 by Pascal. This entry was posted in Pink Comparatives on 3 March 2019 by Pascal. 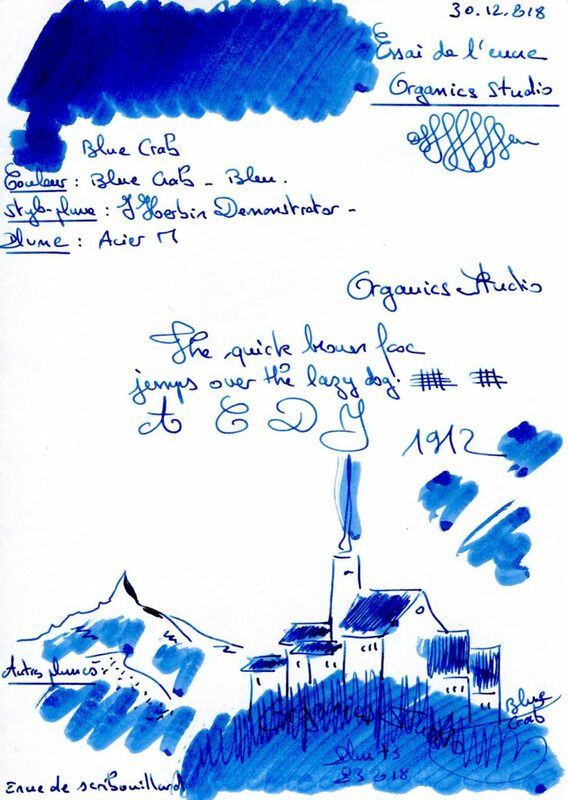 This entry was posted in Blue-Black Inks, Diamine on 2 March 2019 by Pascal. This entry was posted in S.T. 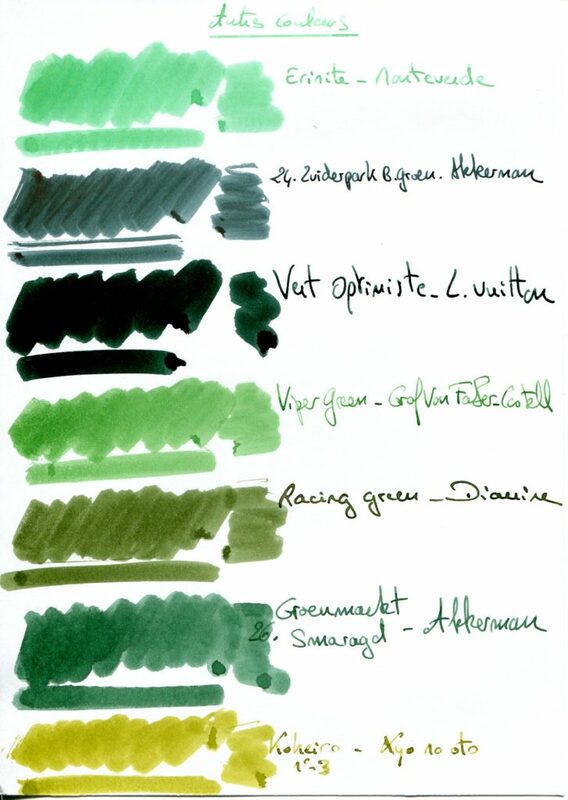 Dupont on 25 February 2019 by Pascal. This entry was posted in Ink bottles on 25 February 2019 by Pascal. 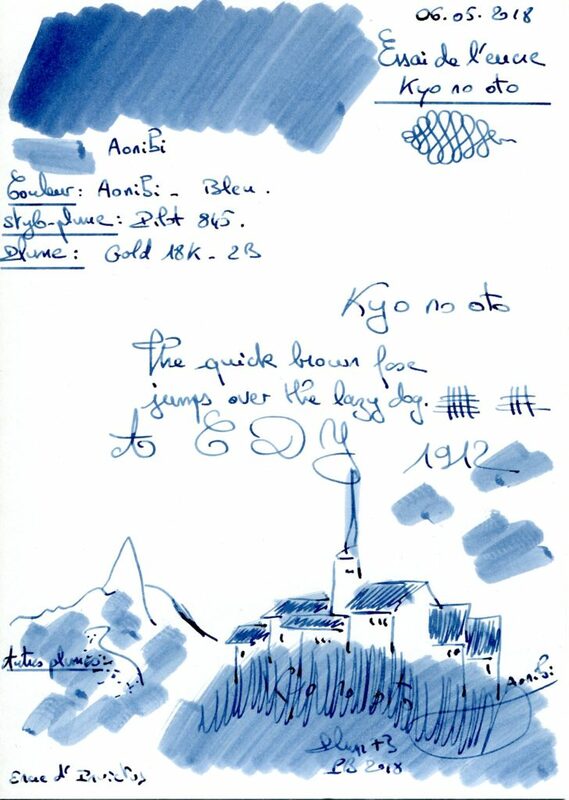 This entry was posted in Fountain Pens on 25 February 2019 by Pascal. 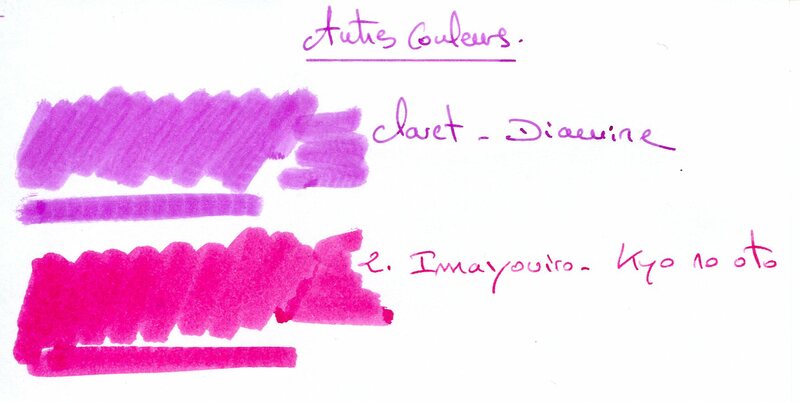 This entry was posted in Diamine, Maroon Inks on 23 February 2019 by Pascal. 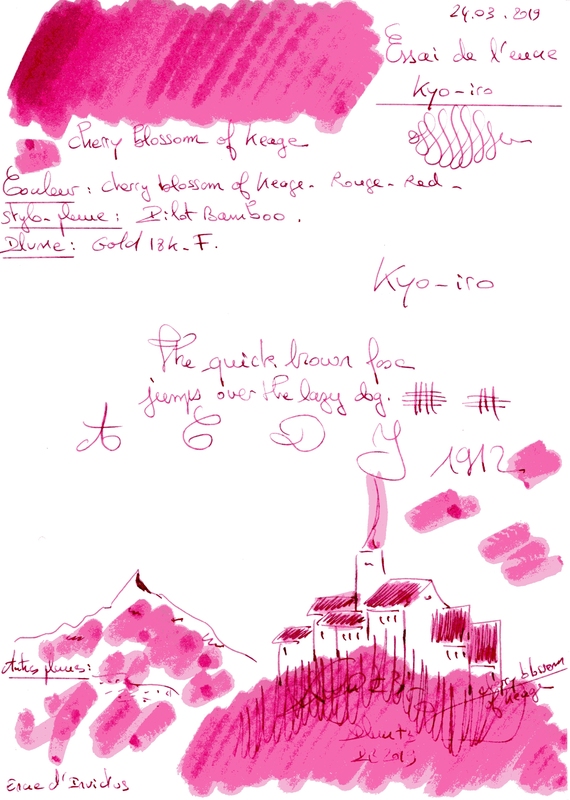 This entry was posted in Kyo-no-oto, Pink Inks on 23 February 2019 by Pascal. 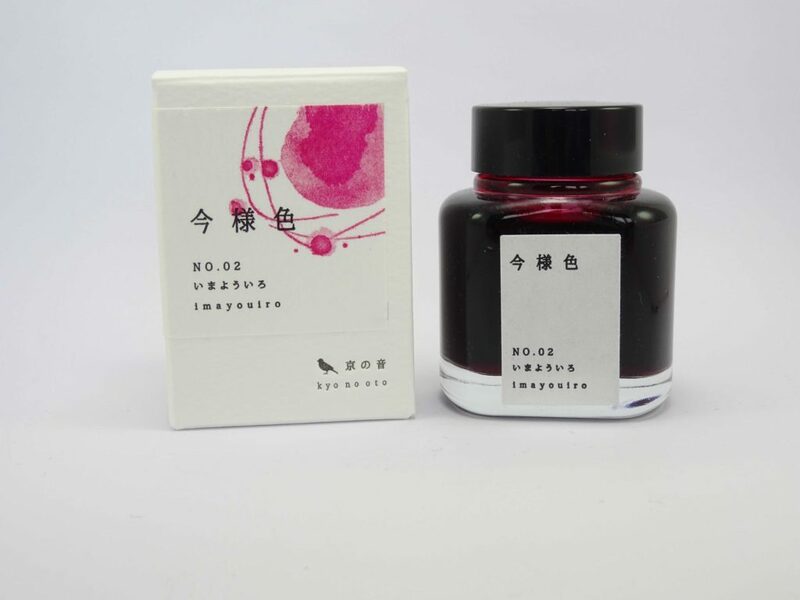 This entry was posted in Ink bottles on 23 February 2019 by Pascal. 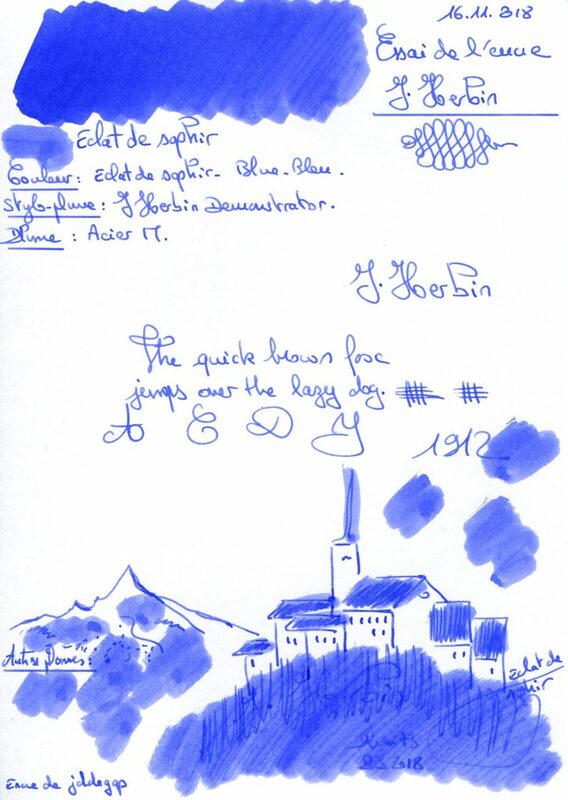 This entry was posted in Fountain Pens on 21 February 2019 by Pascal. 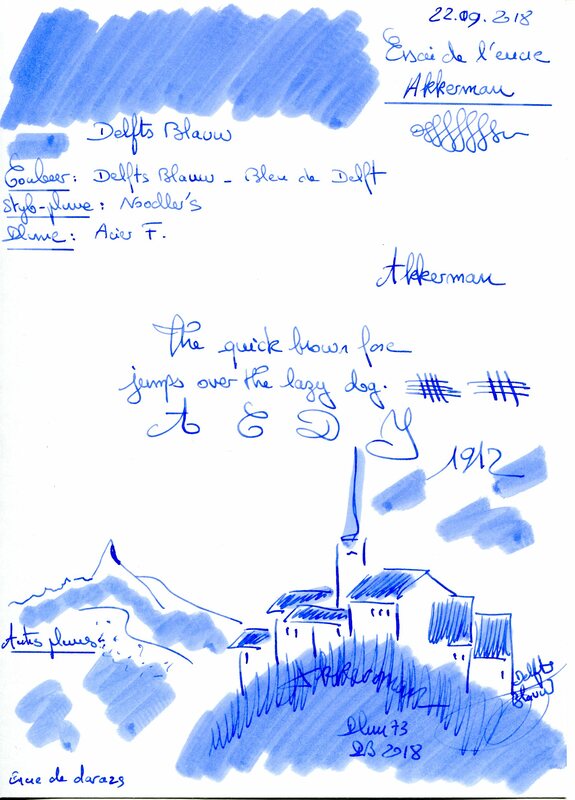 This entry was posted in Fountain Pens on 20 February 2019 by Pascal. This entry was posted in Ink bottles on 17 February 2019 by Pascal. 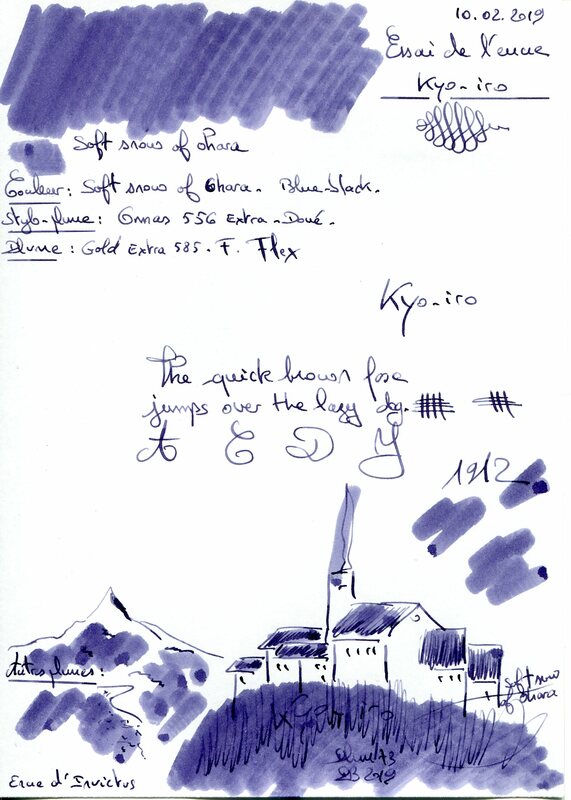 This entry was posted in Blue-Black Inks, Kyo-iro on 17 February 2019 by Pascal. This entry was posted in Kyo-iro, Orange Inks on 17 February 2019 by Pascal. 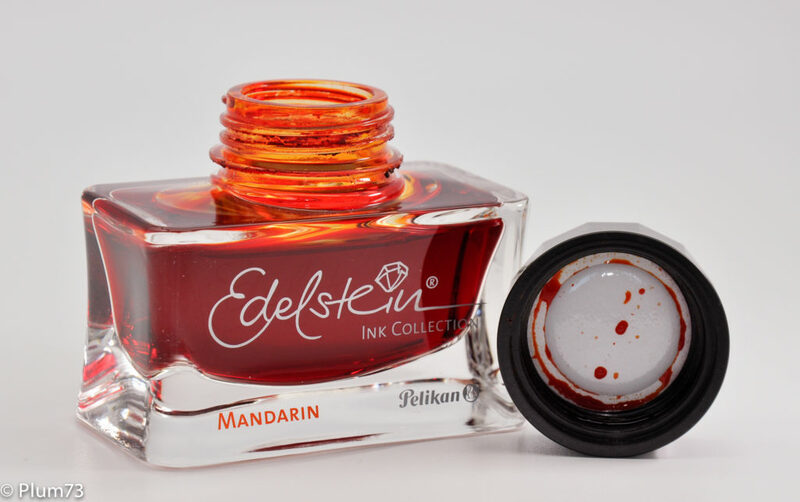 This entry was posted in Fountain Pens on 16 February 2019 by Pascal. 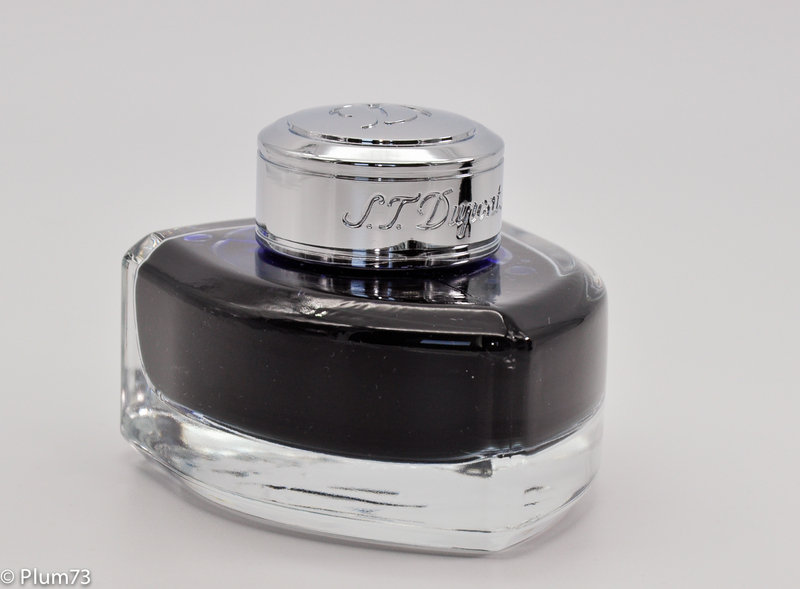 This entry was posted in Ink bottles on 10 February 2019 by Pascal. 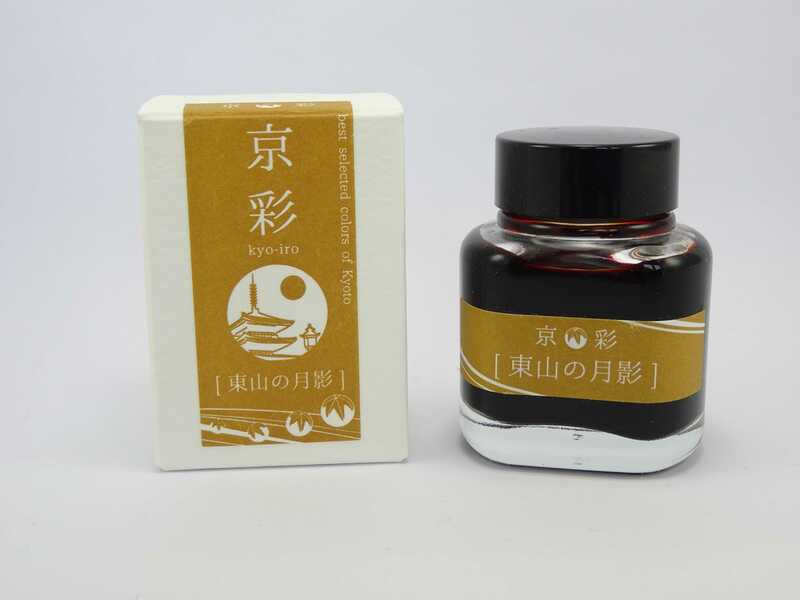 This entry was posted in Kyo-no-oto, Maroon Inks on 8 February 2019 by Pascal. 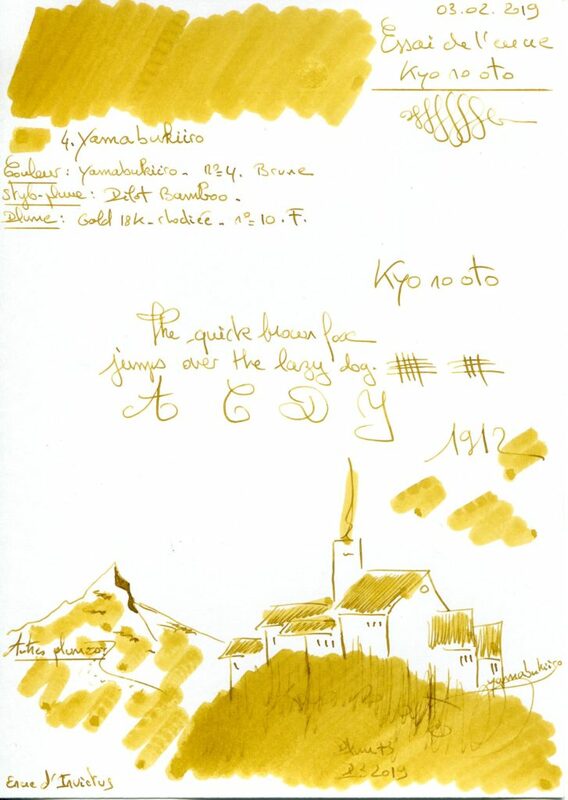 This entry was posted in Green Inks, Kyo-no-oto on 8 February 2019 by Pascal. 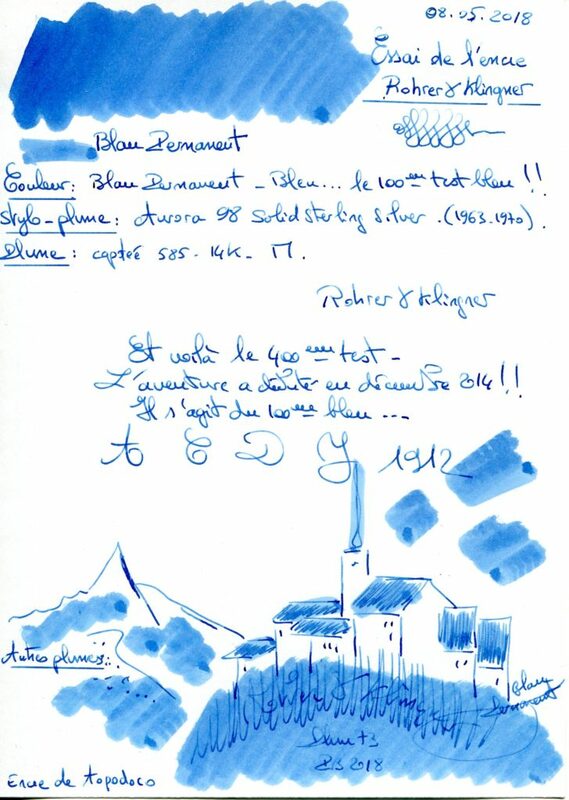 This entry was posted in Fountain Pens on 3 February 2019 by Pascal. This entry was posted in Ink bottles on 3 February 2019 by Pascal. 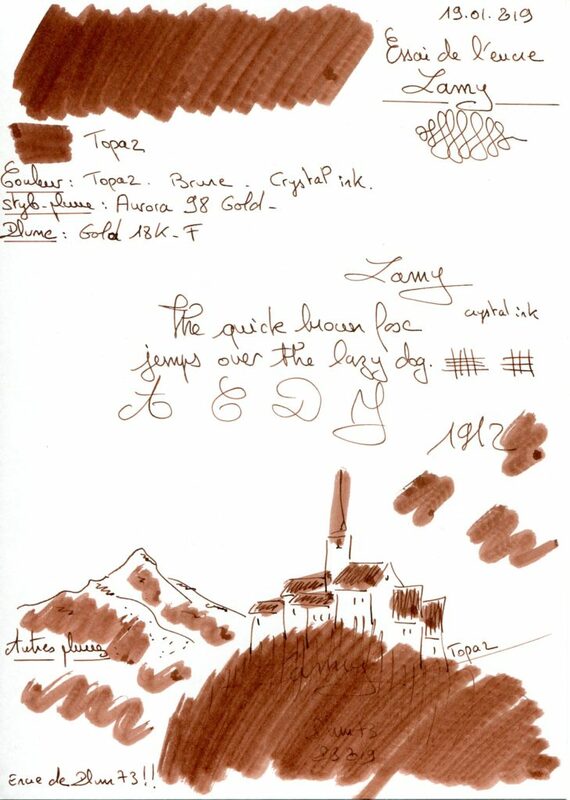 This entry was posted in Lamy, Maroon Inks on 27 January 2019 by Pascal. 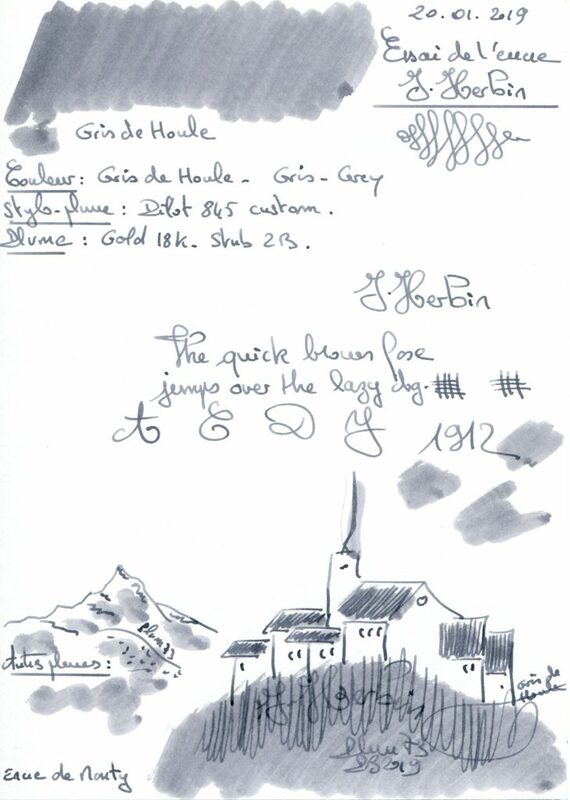 This entry was posted in Grey Inks, J. Herbin on 27 January 2019 by Pascal. 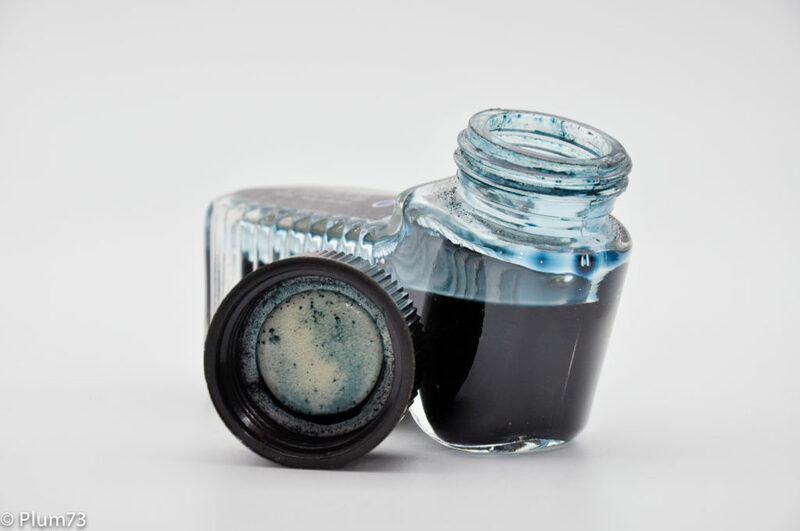 This entry was posted in Ink bottles on 26 January 2019 by Pascal. 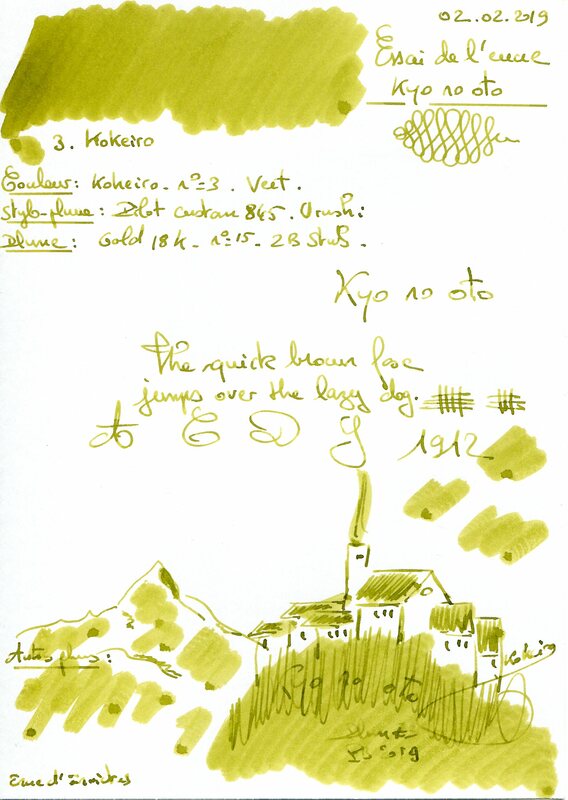 This entry was posted in Fountain Pens on 26 January 2019 by Pascal. 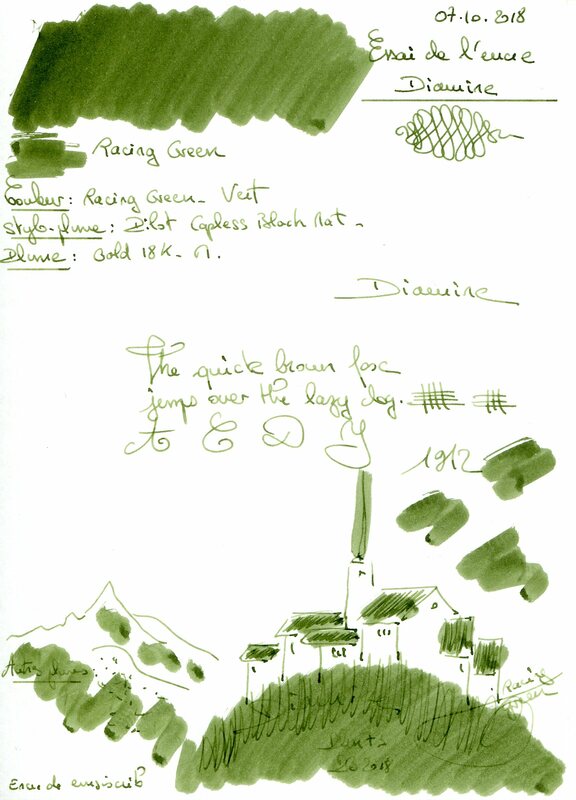 This entry was posted in Fountain Pens on 20 January 2019 by Pascal. 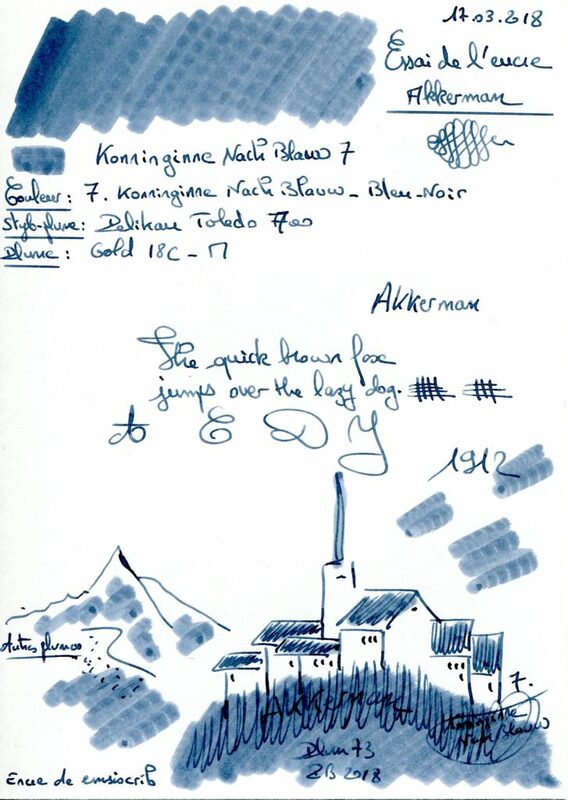 This entry was posted in Akkerman, Blue Inks on 13 January 2019 by Pascal. 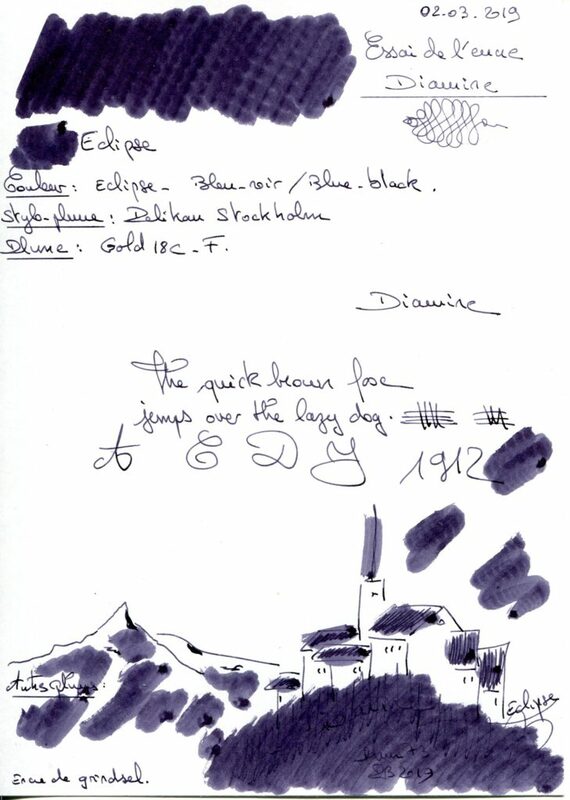 This entry was posted in Notebooks - Papers on 8 January 2019 by Pascal. 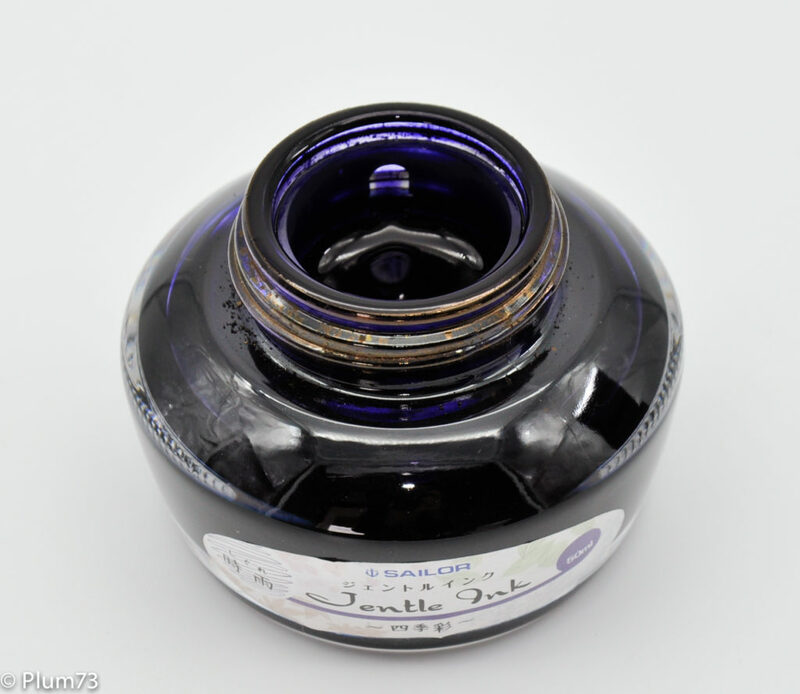 This entry was posted in Blue Inks, Organics Studio on 31 December 2018 by Pascal. 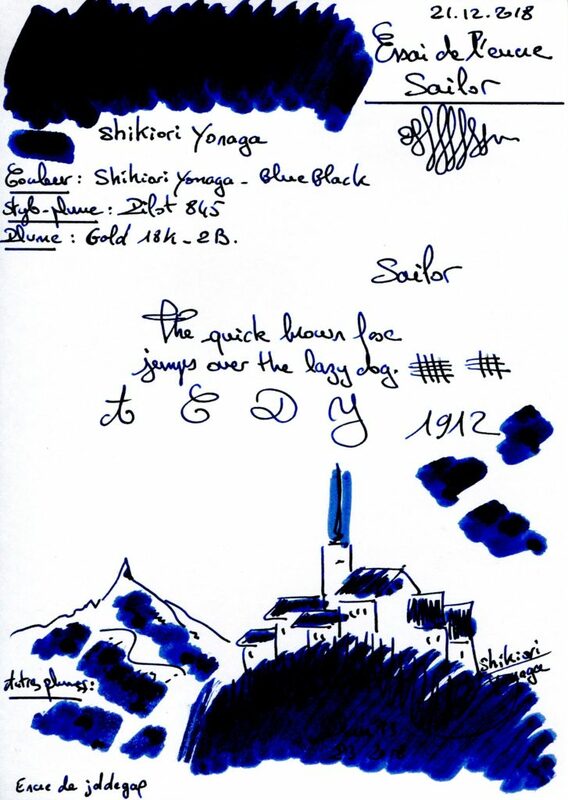 This entry was posted in Blue-Black Inks, Sailor on 22 December 2018 by Pascal. 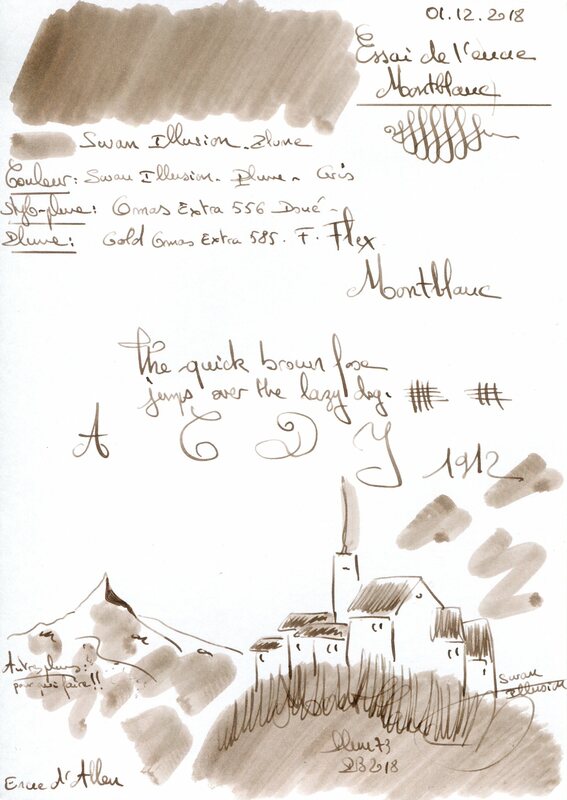 This entry was posted in Grey Inks, Montblanc on 22 December 2018 by Pascal. 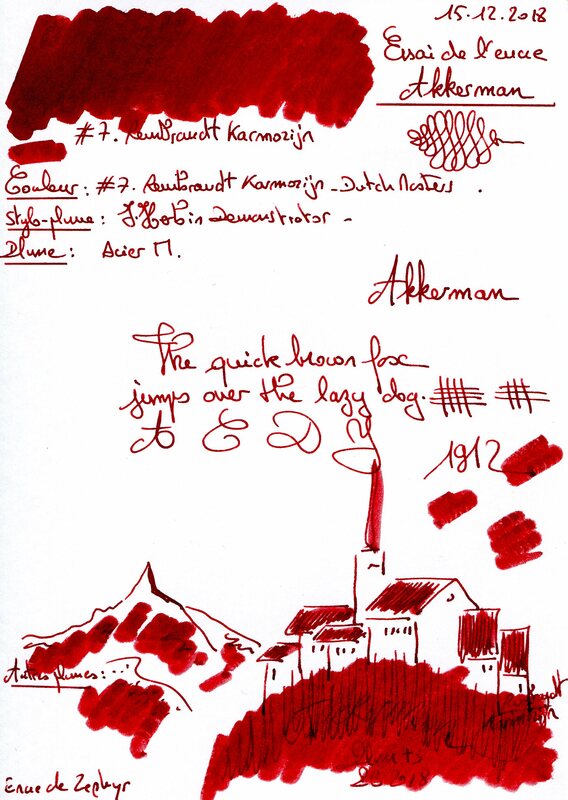 This entry was posted in Akkerman, Red Inks on 15 December 2018 by Pascal. 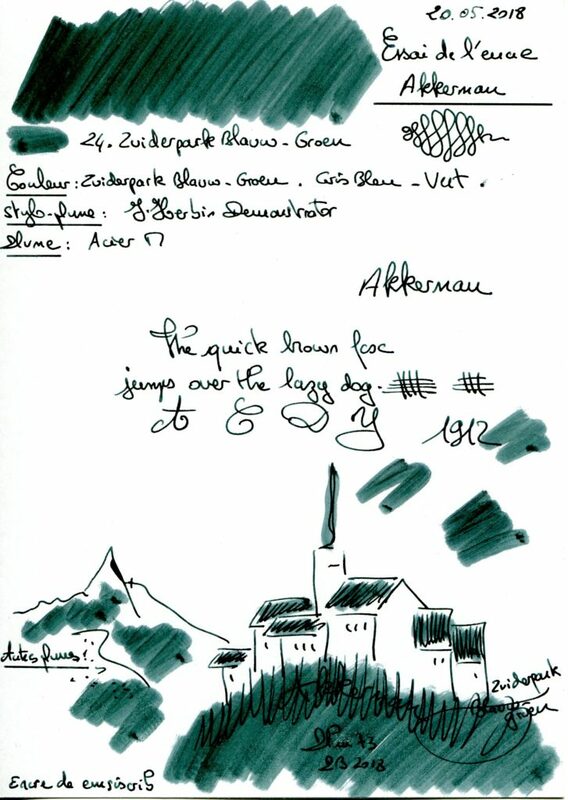 This entry was posted in Akkerman, Green Inks on 9 December 2018 by Pascal. 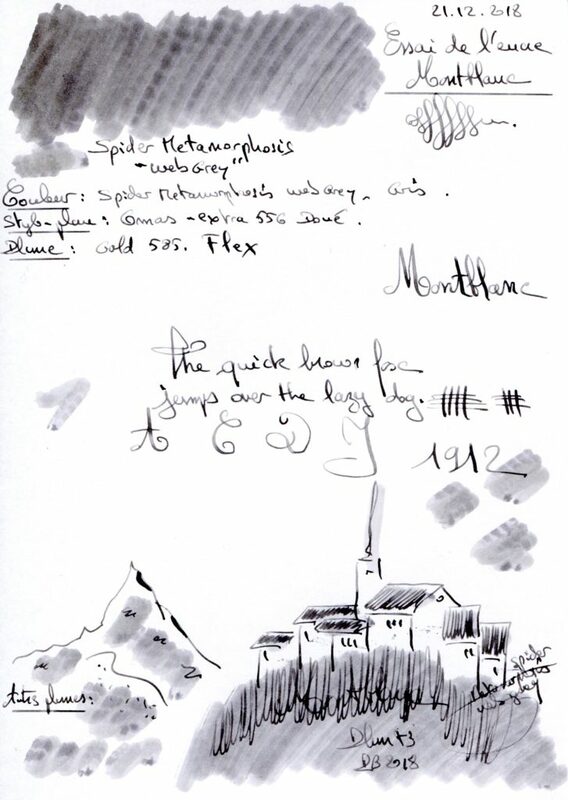 This entry was posted in Grey Inks, Montblanc on 2 December 2018 by Pascal. 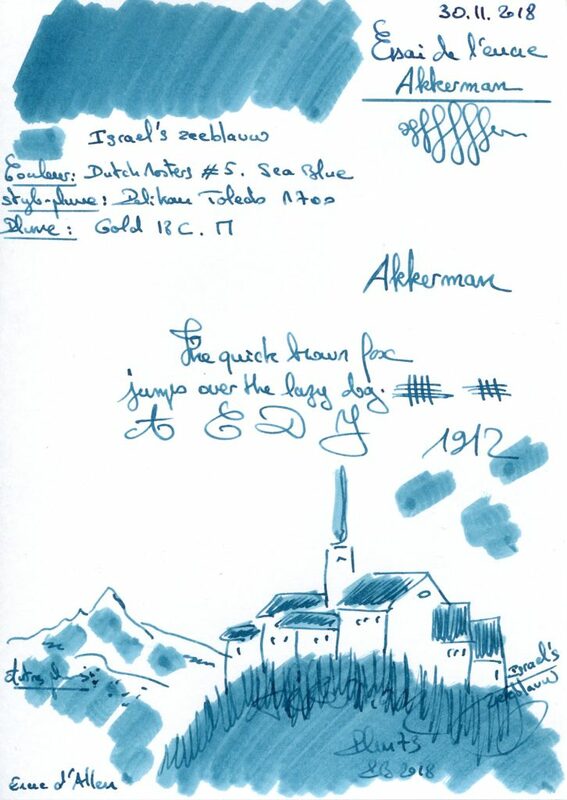 This entry was posted in Akkerman, Blue Inks on 2 December 2018 by Pascal. 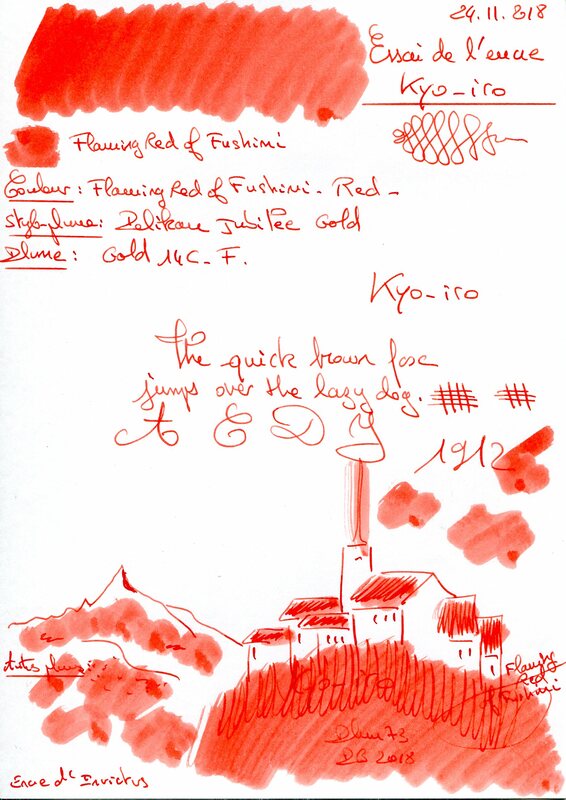 This entry was posted in Kyo-iro, Red Inks on 25 November 2018 by Pascal. 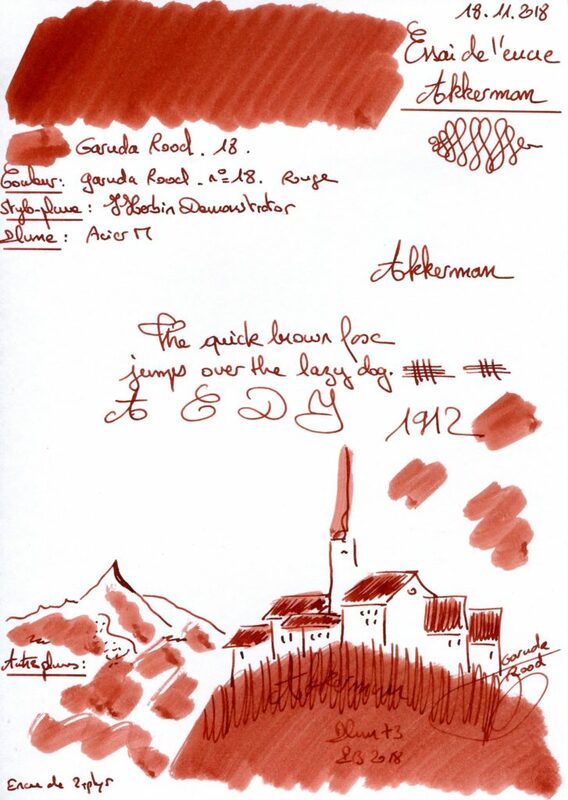 This entry was posted in Akkerman, Red Inks on 18 November 2018 by Pascal. 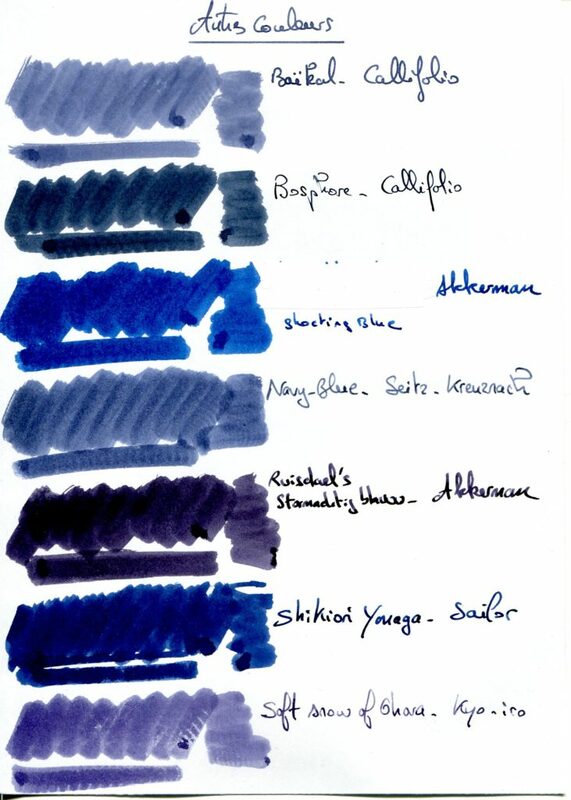 This entry was posted in Blue Inks, J. Herbin on 18 November 2018 by Pascal. 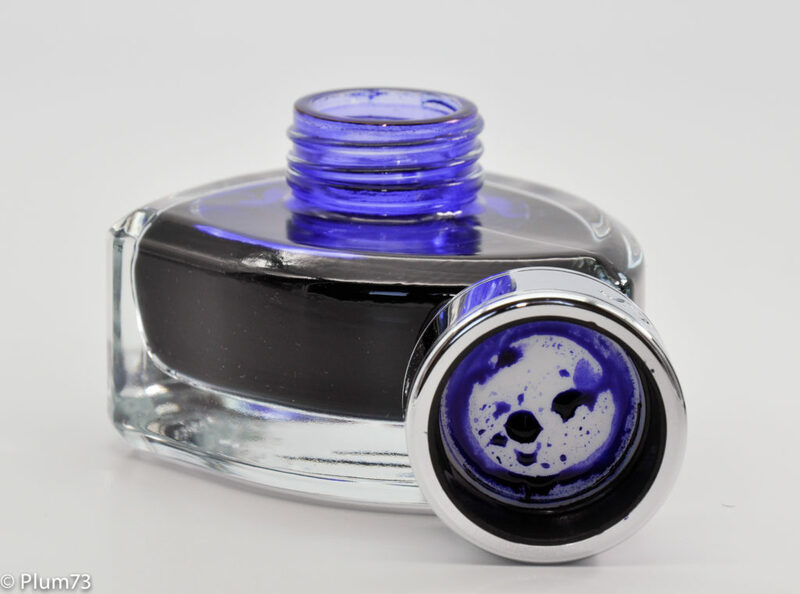 This entry was posted in Ink bottles on 18 November 2018 by Pascal. This entry was posted in Akkerman, Blue-Black Inks on 11 November 2018 by Pascal. 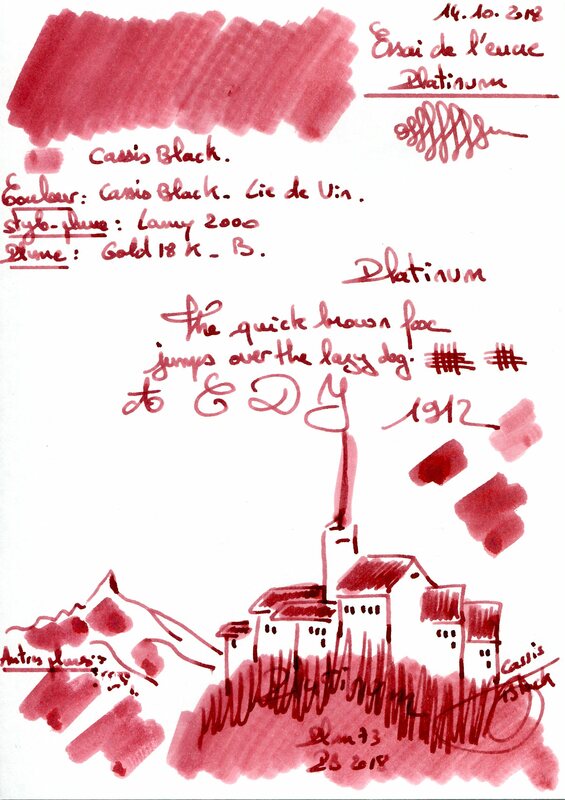 This entry was posted in Burgundy Inks, Platinum on 1 November 2018 by Pascal. 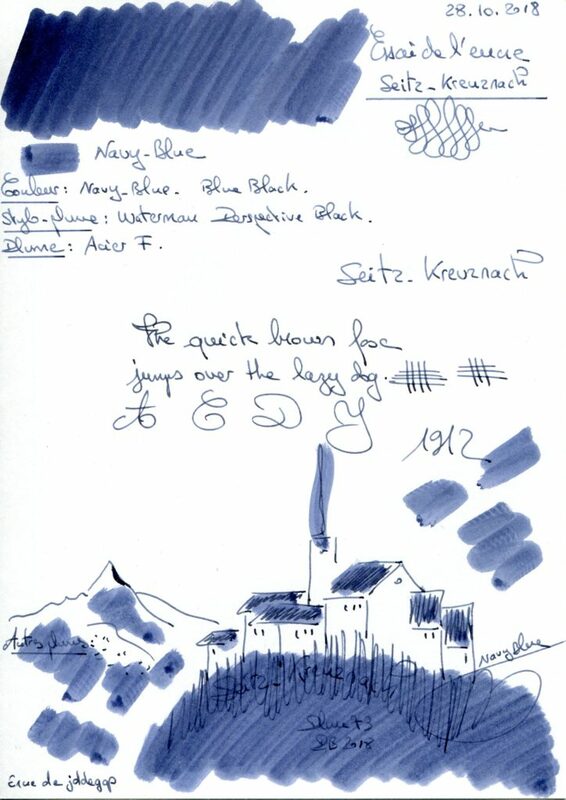 This entry was posted in Blue-Black Inks, Seitz-Kreuznach on 1 November 2018 by Pascal. This entry was posted in Diamine, Green Inks on 13 October 2018 by Pascal. 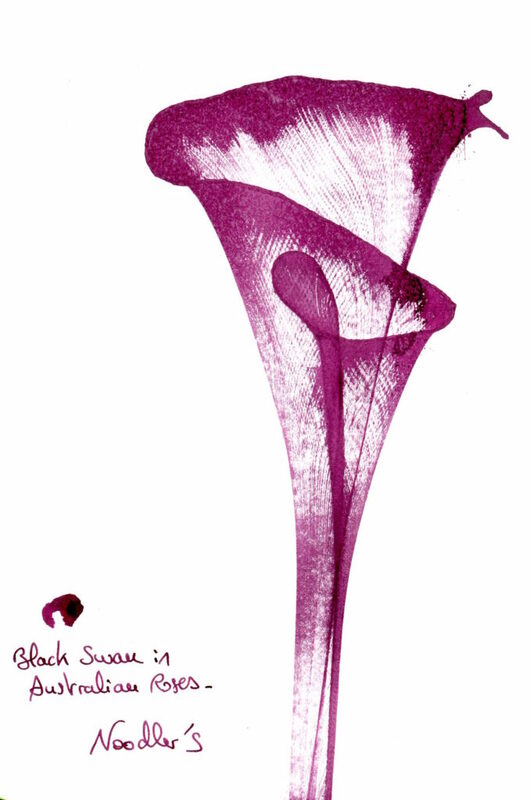 This entry was posted in Blue-Black Comparatives on 13 October 2018 by Pascal. This entry was posted in Blue-Black Inks, L'Artisan Pastellier - Callifolio on 13 October 2018 by Pascal. 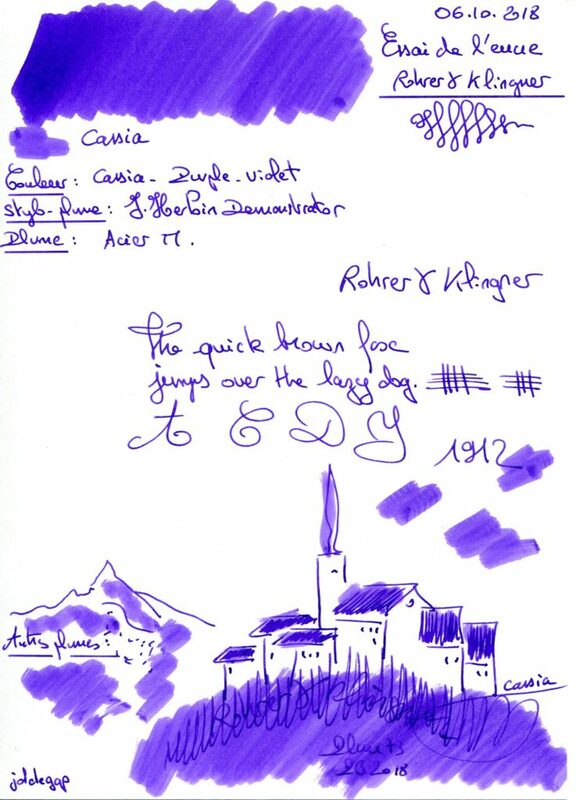 This entry was posted in Purple Inks, Rohrer & Klingner on 7 October 2018 by Pascal. 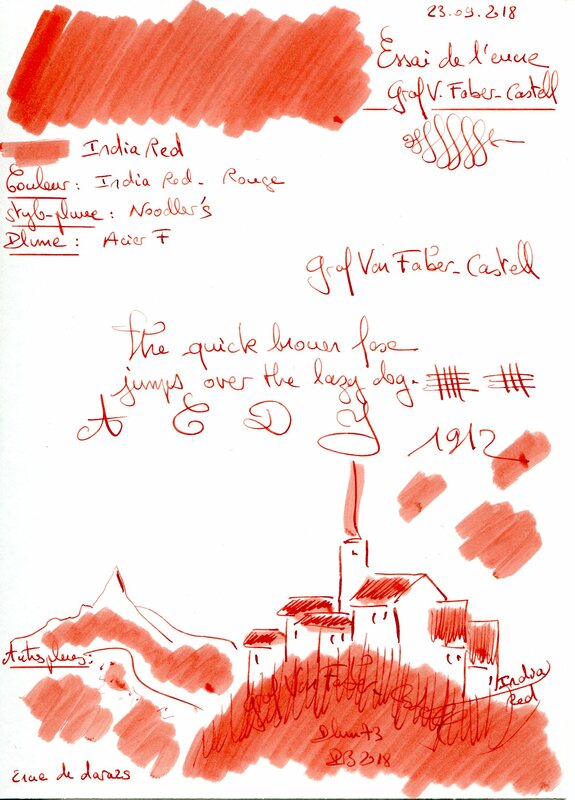 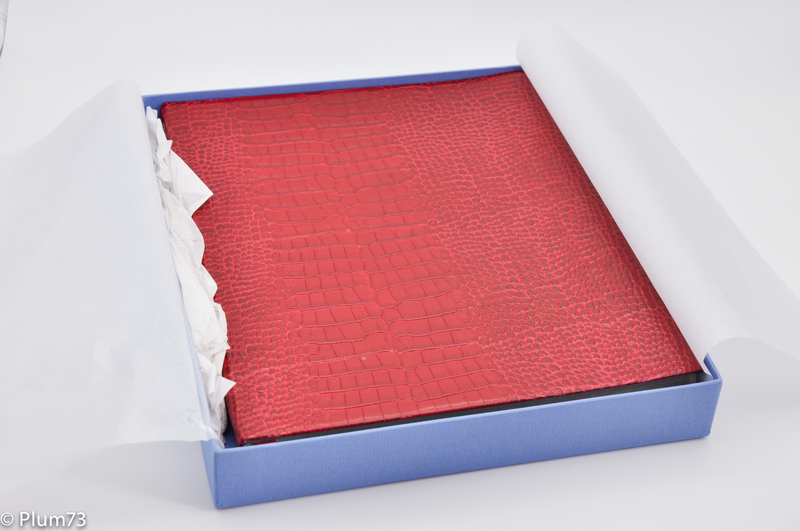 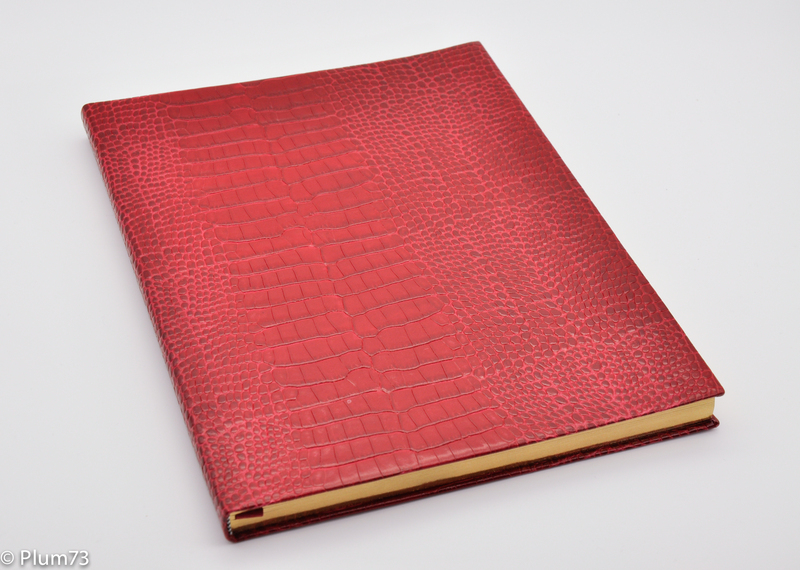 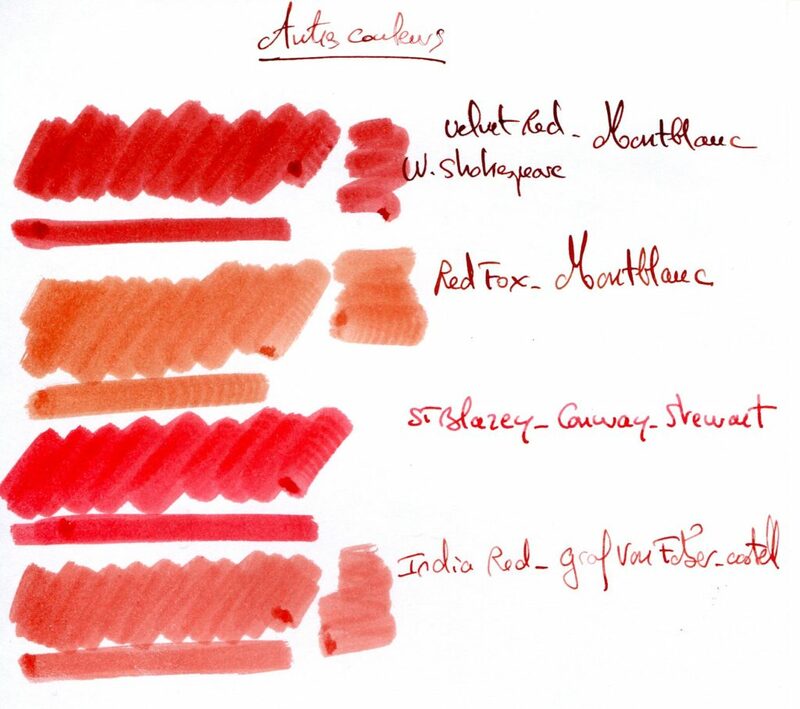 This entry was posted in Graf von Faber-Castell, Red Inks on 7 October 2018 by Pascal. 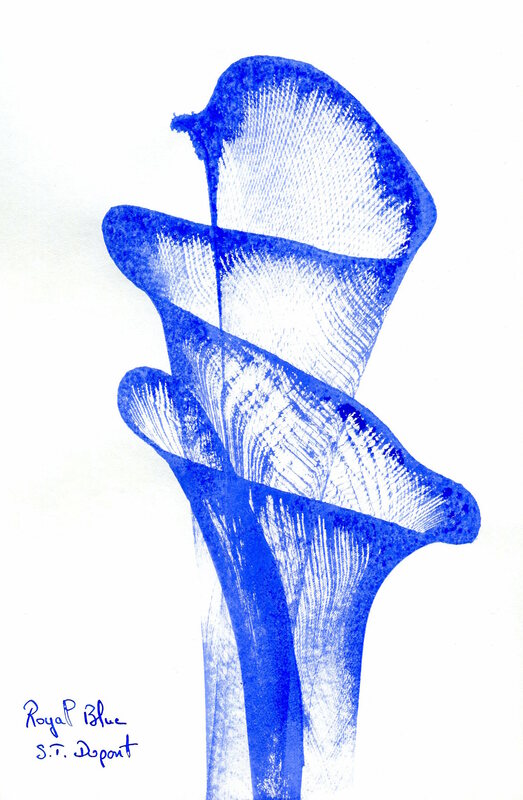 This entry was posted in Blue Comparatives on 22 September 2018 by Pascal. 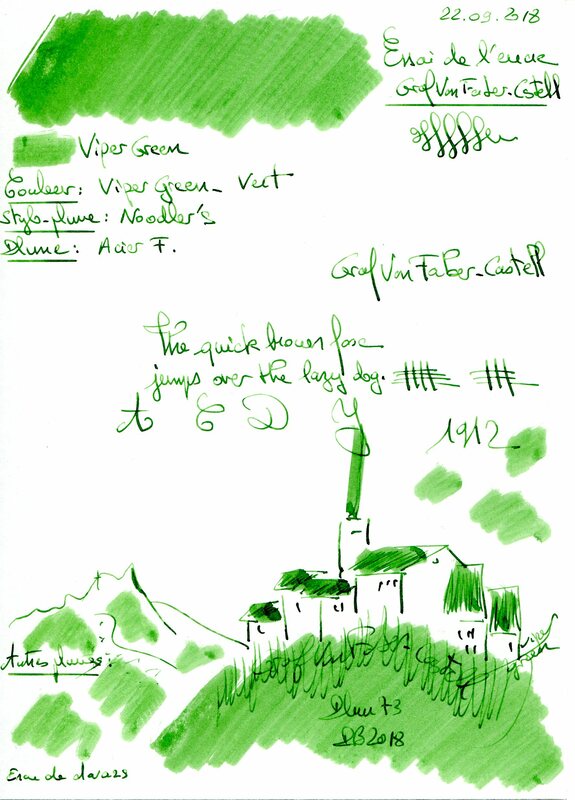 This entry was posted in Graf von Faber-Castell, Green Inks on 22 September 2018 by Pascal. 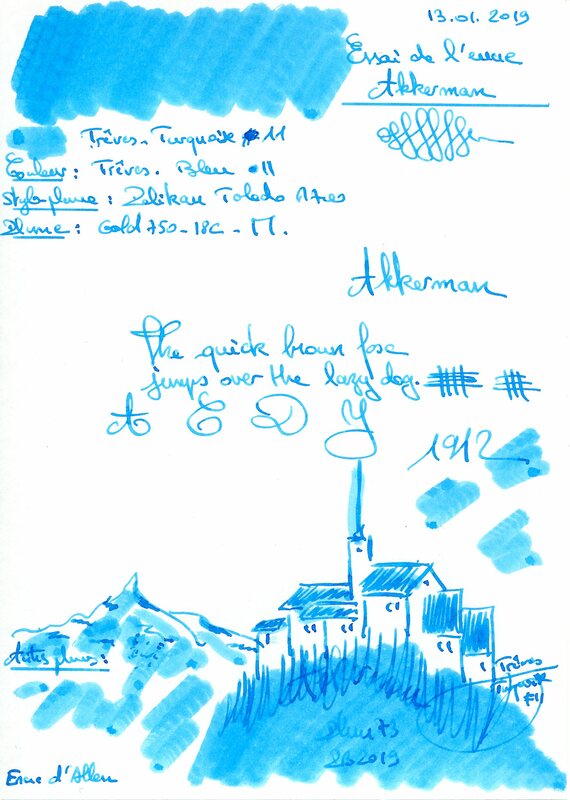 This entry was posted in Akkerman, Blue Inks on 22 September 2018 by Pascal. This entry was posted in Blue Inks, Montblanc on 16 September 2018 by Pascal. 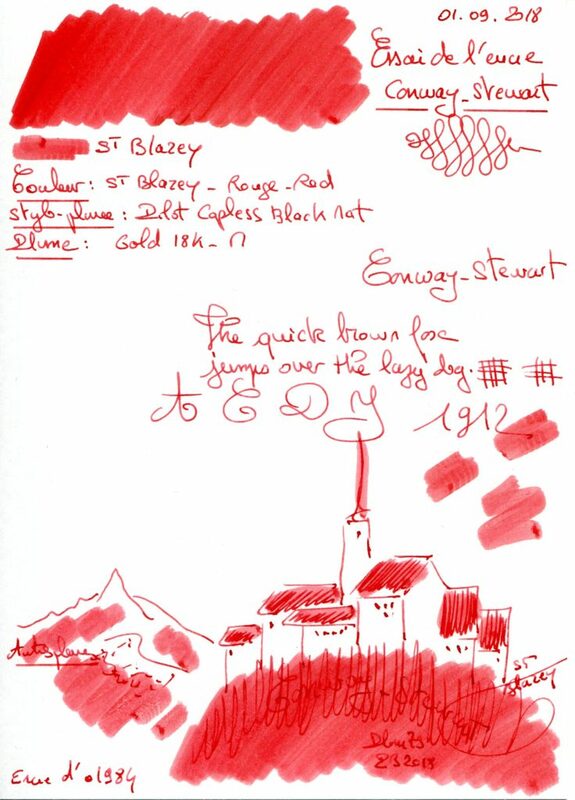 This entry was posted in Conway Stewart on 1 September 2018 by Pascal. 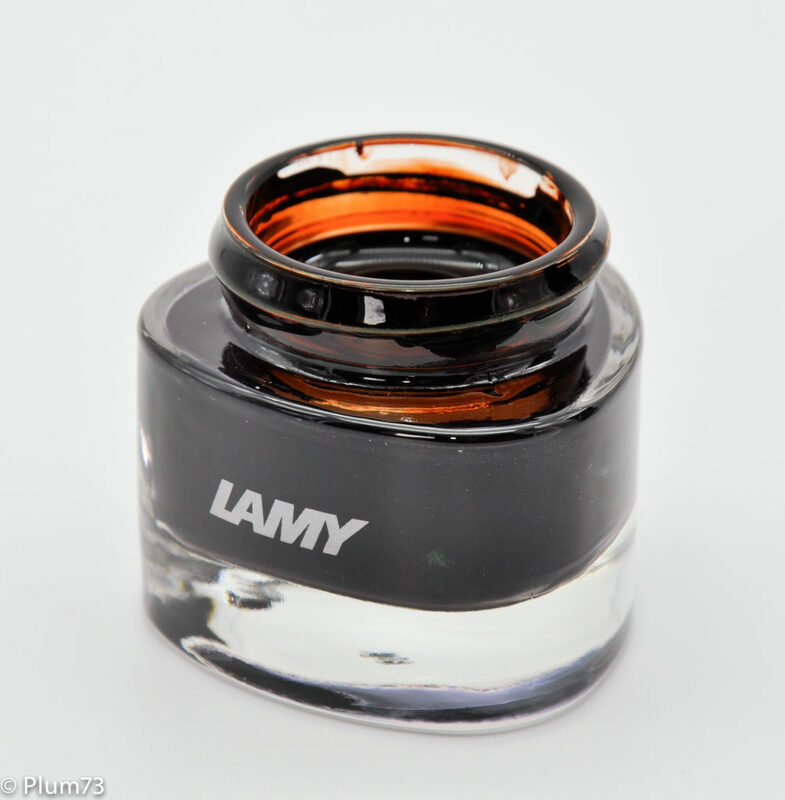 This entry was posted in Maroon Comparatives on 1 September 2018 by Pascal. 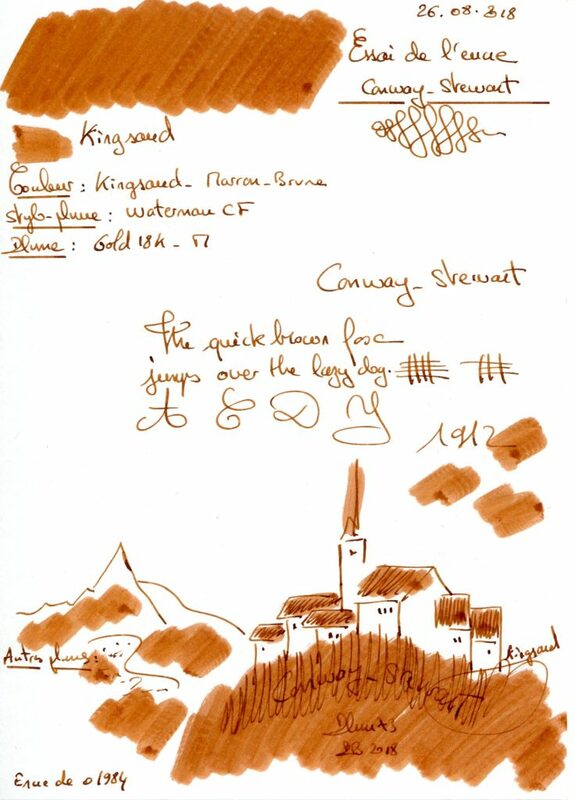 This entry was posted in Conway Stewart, Maroon Inks on 1 September 2018 by Pascal. 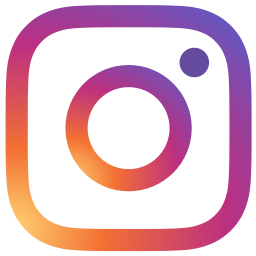 This entry was posted in Red Comparatives on 14 July 2018 by Pascal. This entry was posted in Akkerman, Burgundy Inks on 14 July 2018 by Pascal. 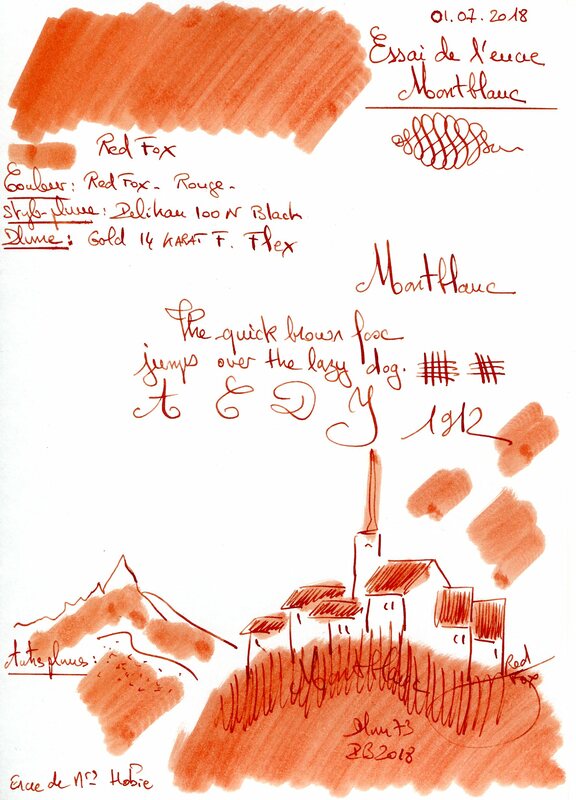 This entry was posted in Montblanc, Red Inks on 14 July 2018 by Pascal. 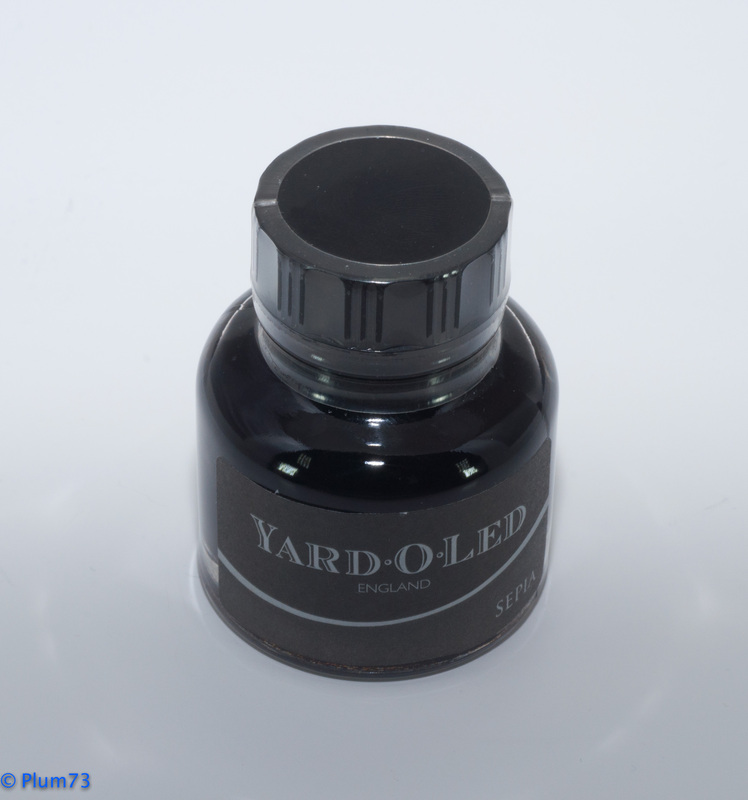 This entry was posted in Maroon Inks, Yard-O-Led on 1 July 2018 by Pascal. 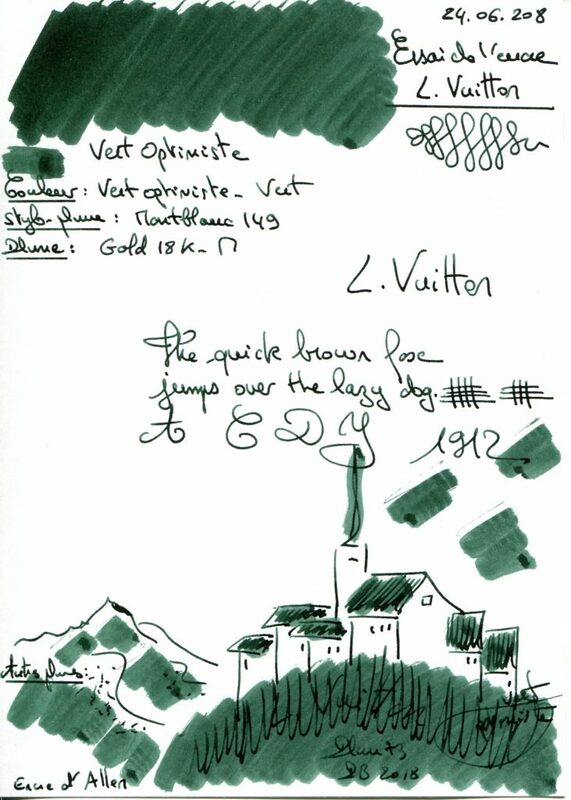 This entry was posted in Green Inks, Louis Vuitton on 1 July 2018 by Pascal. 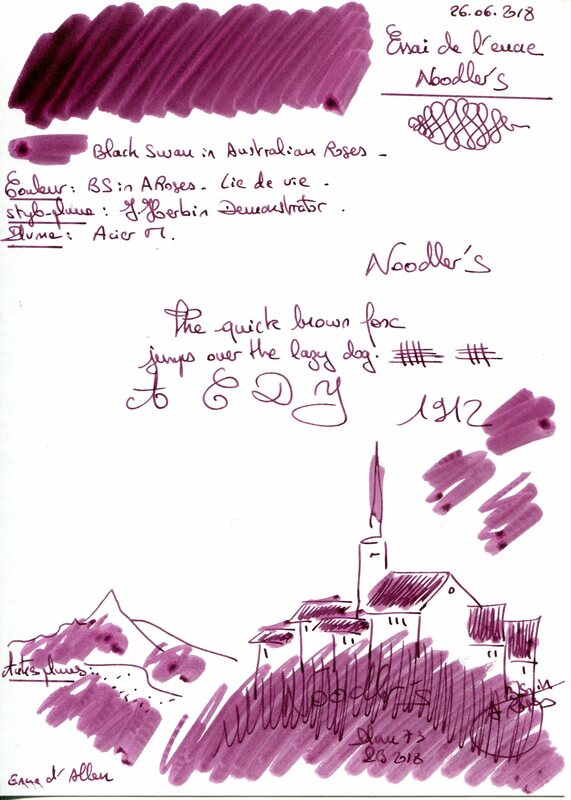 This entry was posted in Burgundy Inks, Noodler's on 30 June 2018 by Pascal. 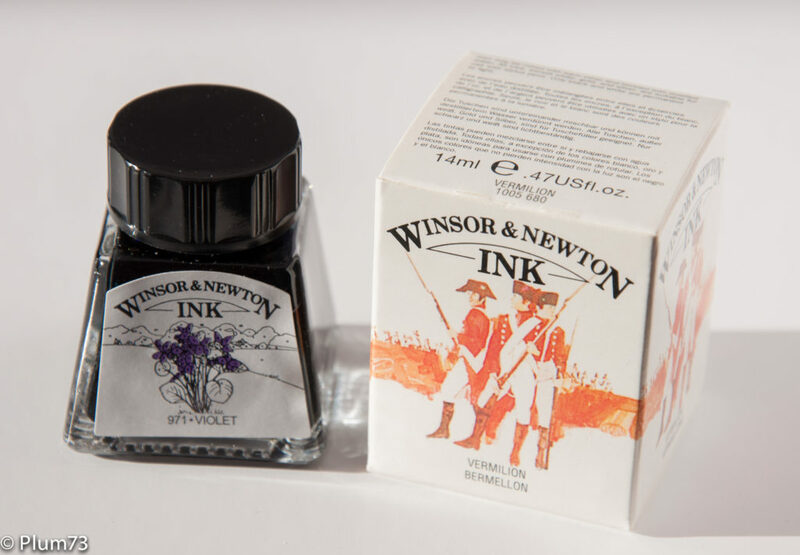 This entry was posted in Ink bottles on 4 June 2018 by Pascal. 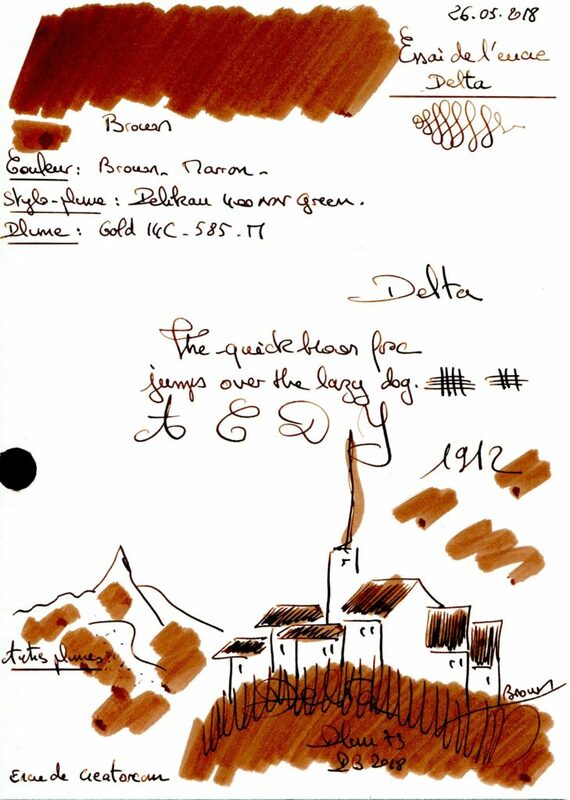 This entry was posted in Delta, Maroon Inks on 1 June 2018 by Pascal. 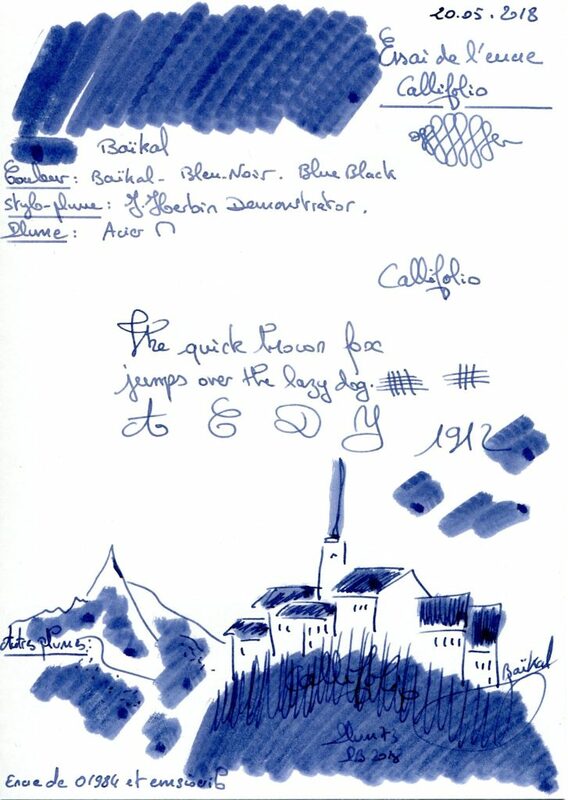 This entry was posted in Blue Inks, L'Artisan Pastellier - Callifolio on 1 June 2018 by Pascal. 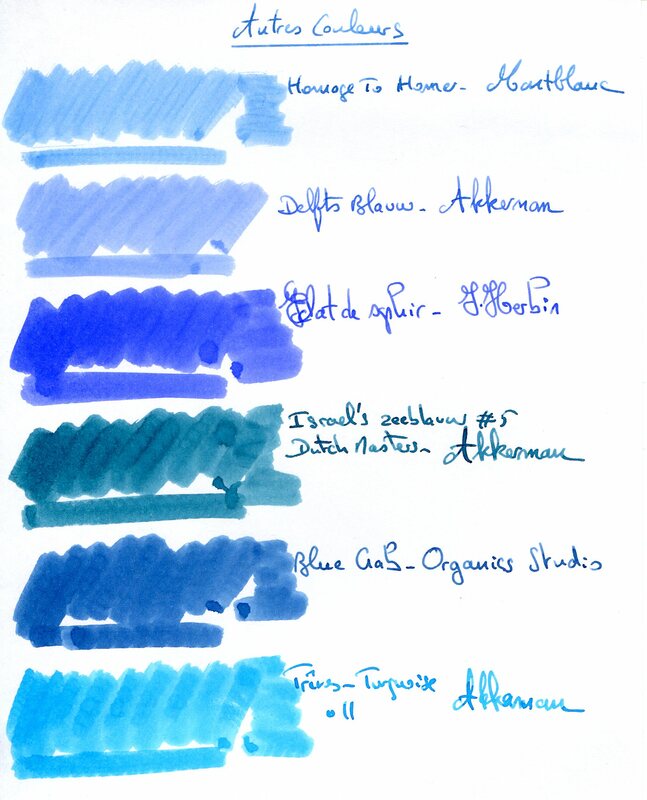 This entry was posted in Blue Inks, S.T. 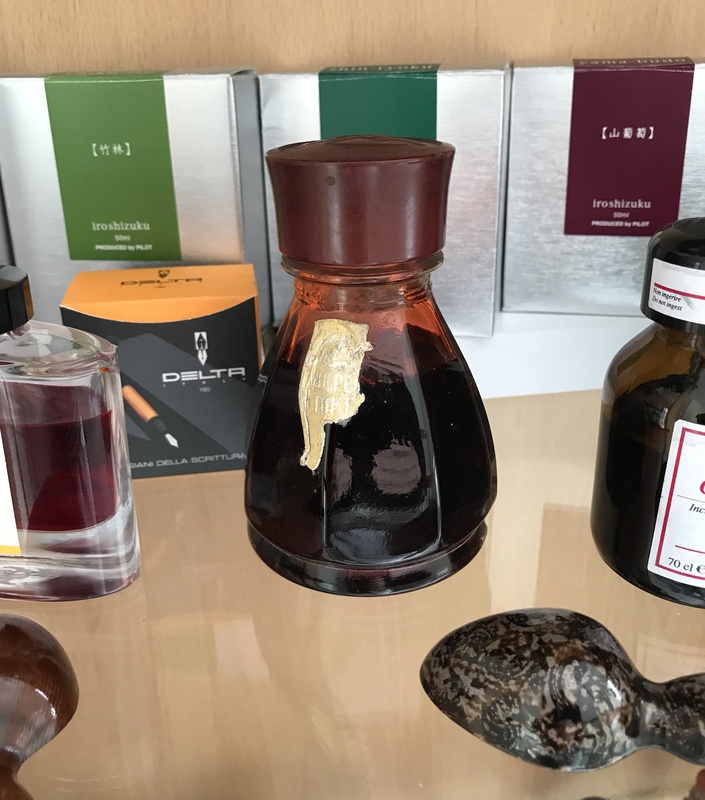 Dupont on 20 May 2018 by Pascal. 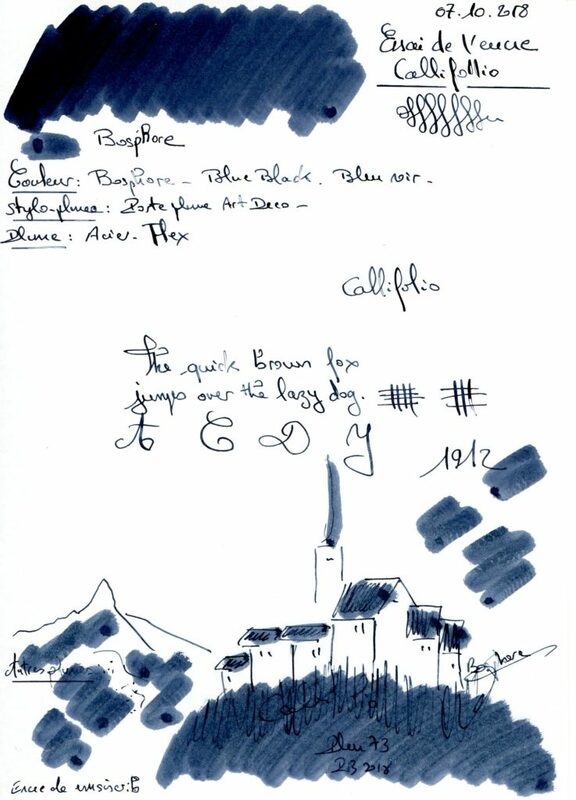 This entry was posted in Blue-Black Inks, L'Artisan Pastellier - Callifolio on 20 May 2018 by Pascal. 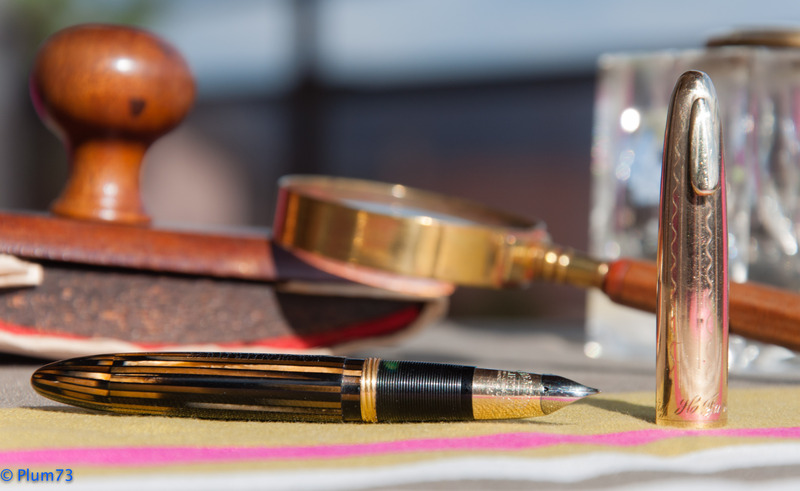 This entry was posted in Green Comparatives on 20 May 2018 by Pascal. 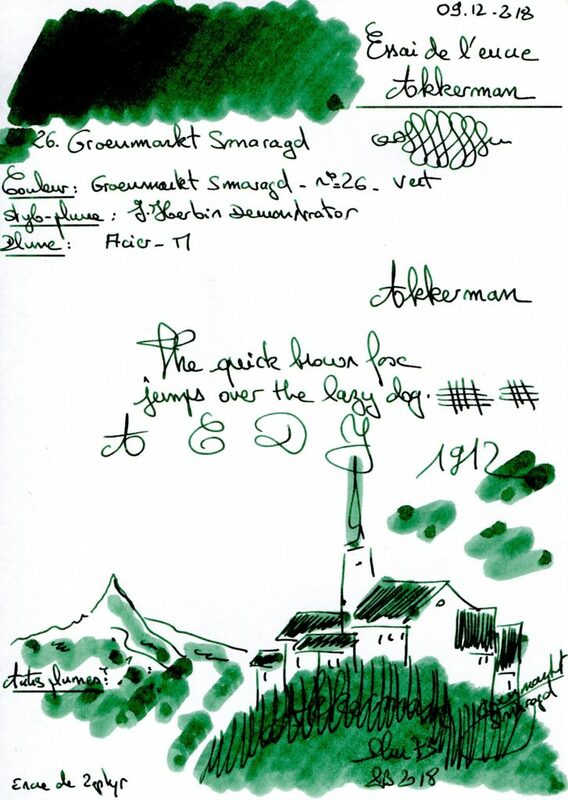 This entry was posted in Akkerman, Green Inks on 20 May 2018 by Pascal. 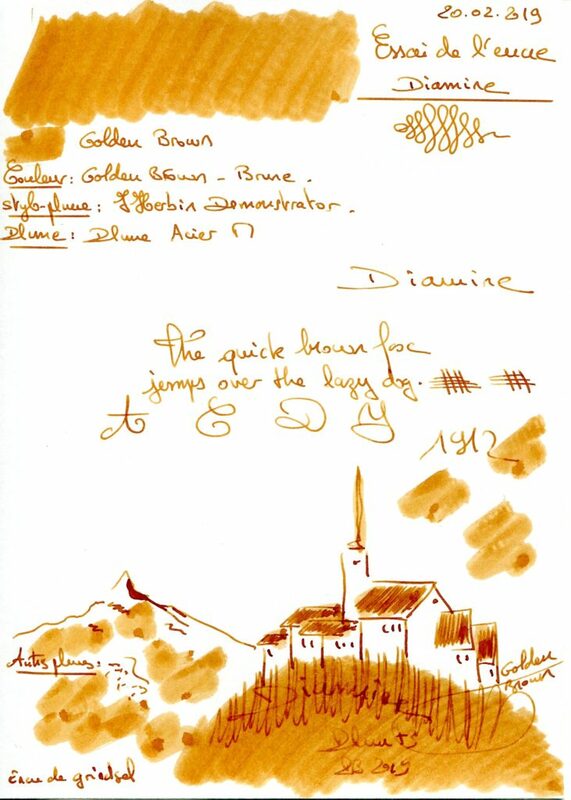 This entry was posted in Fountain Pens on 11 May 2018 by Pascal. 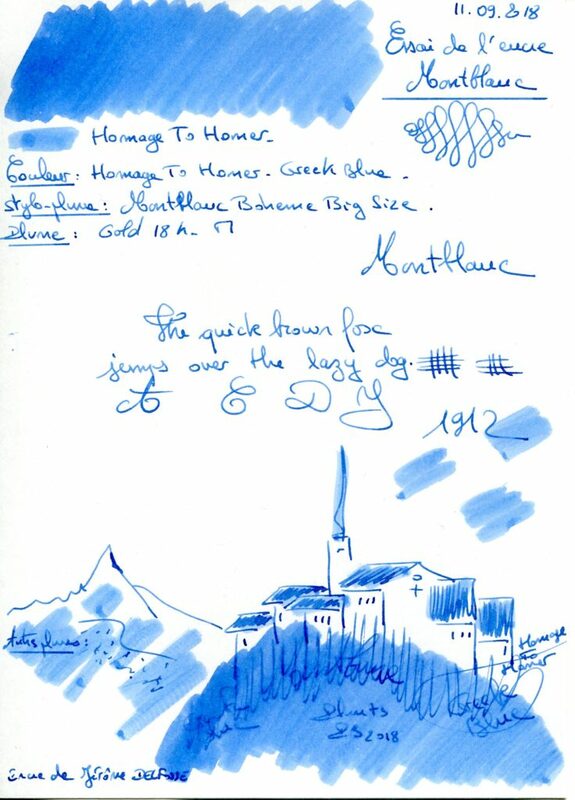 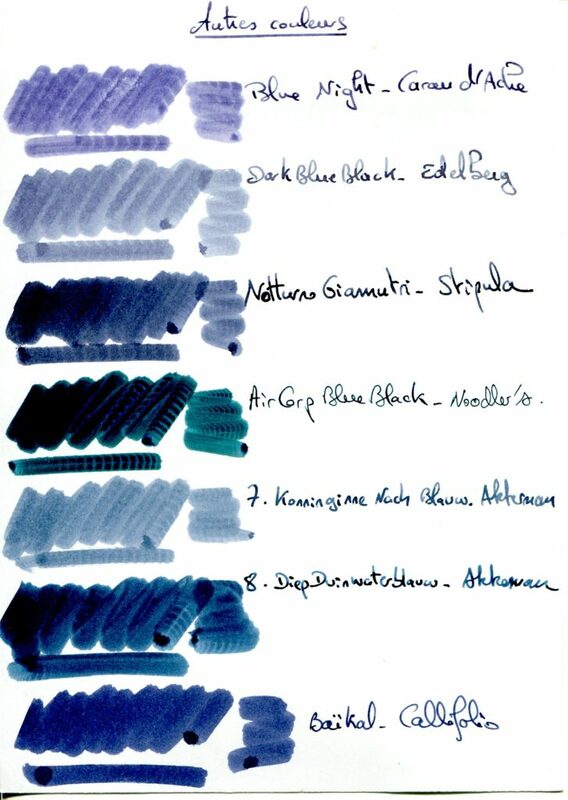 This entry was posted in Blue Inks, Rohrer & Klingner on 10 May 2018 by Pascal. 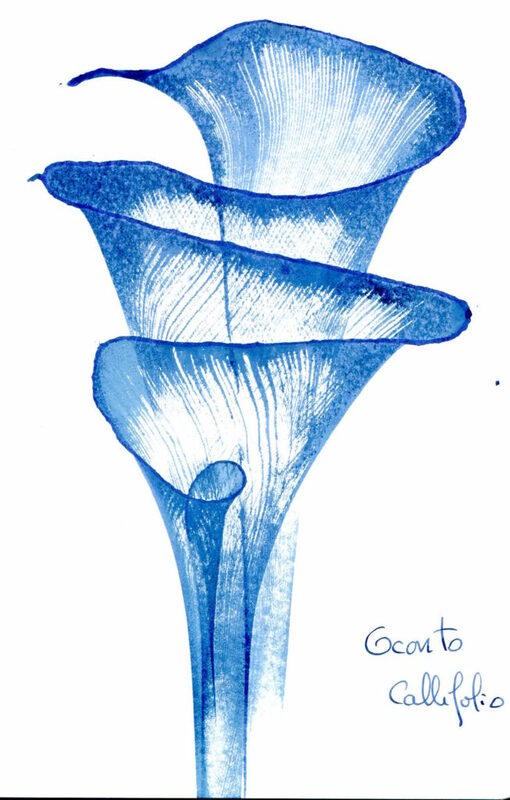 This entry was posted in Blue Comparatives on 6 May 2018 by Pascal. 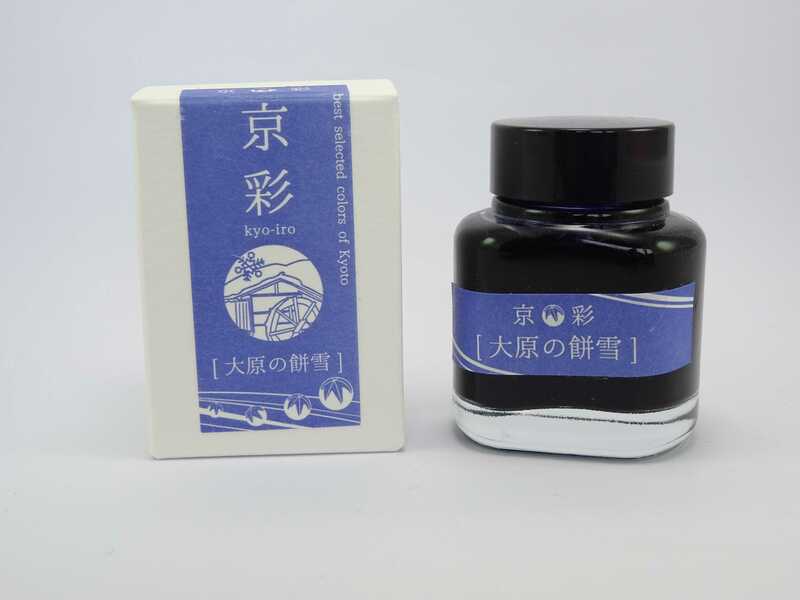 This entry was posted in Blue Inks, Kyo-no-oto on 6 May 2018 by Pascal. 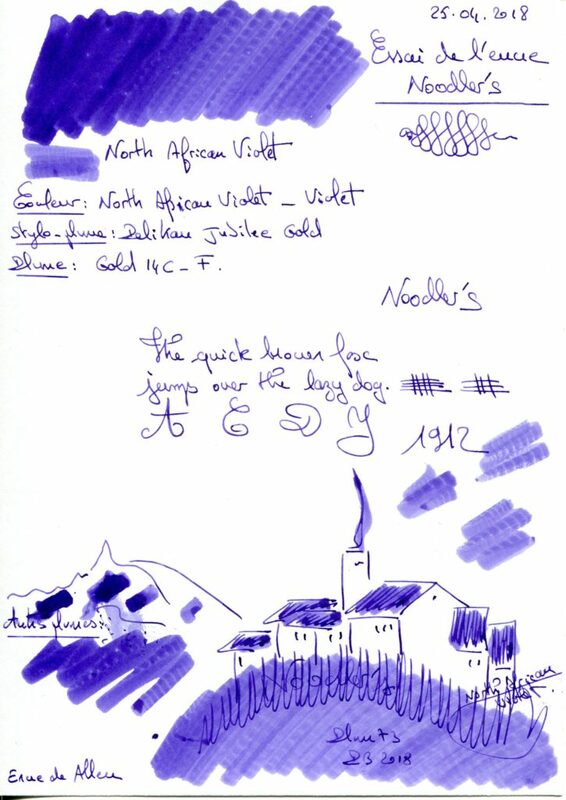 This entry was posted in Noodler's, Purple Comparatives on 28 April 2018 by Pascal. 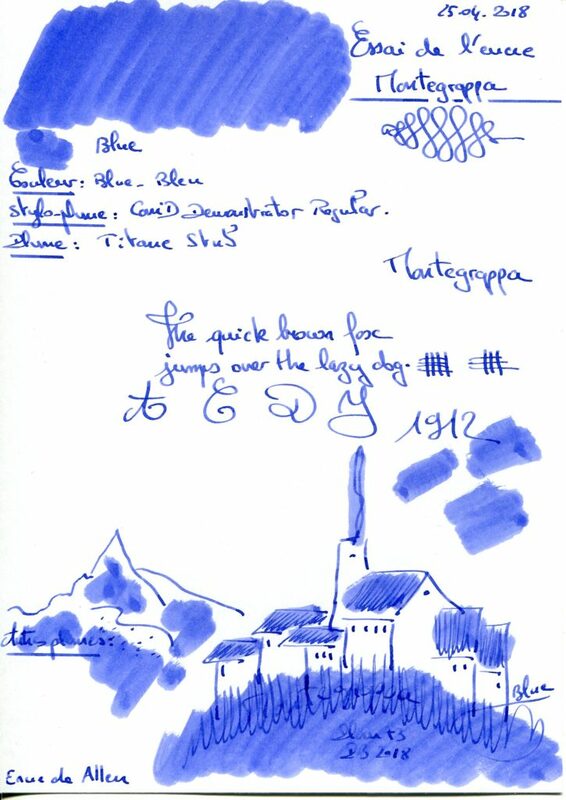 This entry was posted in Blue Inks, Montegrappa on 28 April 2018 by Pascal. 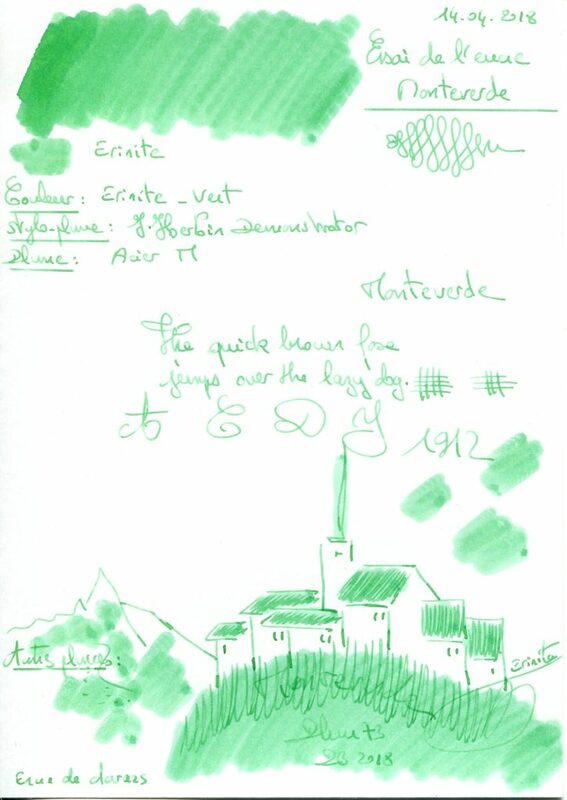 This entry was posted in Green Inks, Monteverde on 15 April 2018 by Pascal. 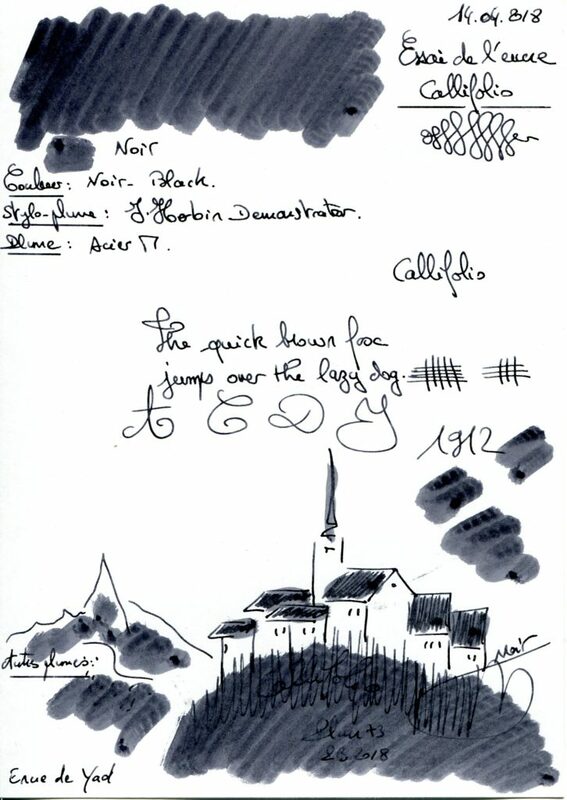 This entry was posted in Black Inks, L'Artisan Pastellier - Callifolio on 15 April 2018 by Pascal. 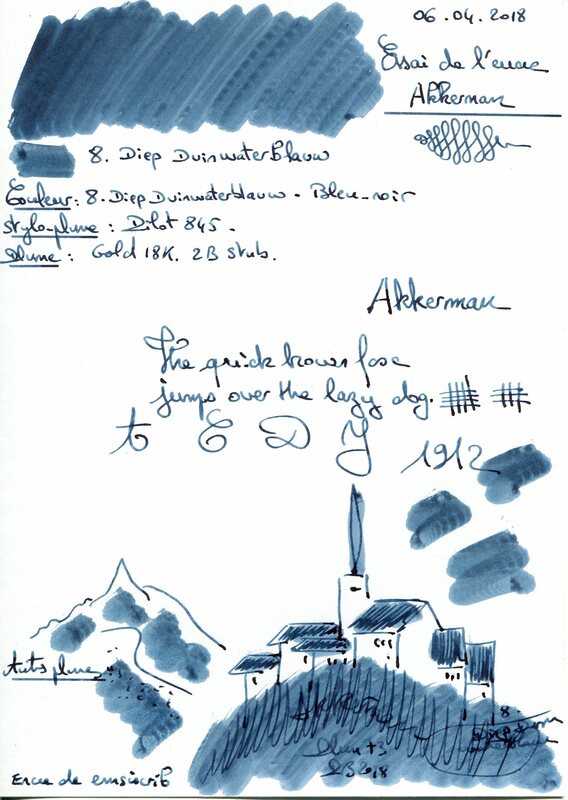 This entry was posted in Akkerman, Blue-Black Inks on 8 April 2018 by Pascal. 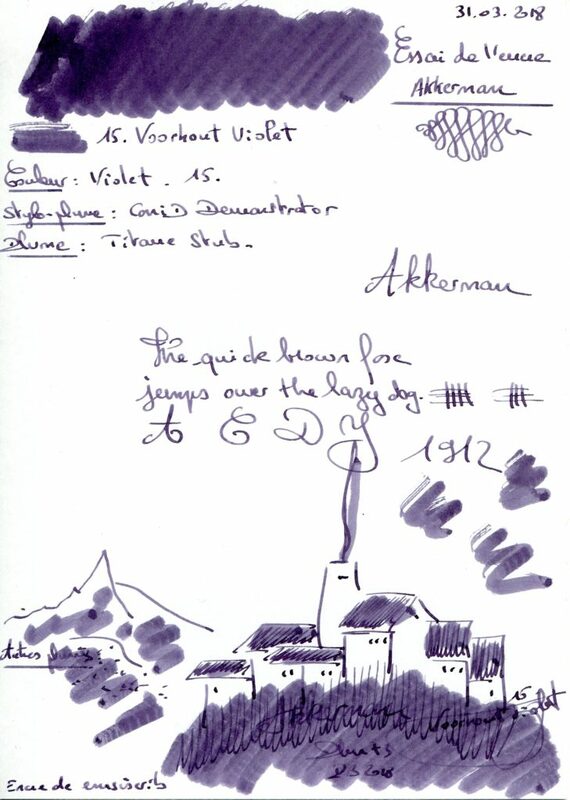 This entry was posted in Akkerman, Purple Inks on 1 April 2018 by Pascal. 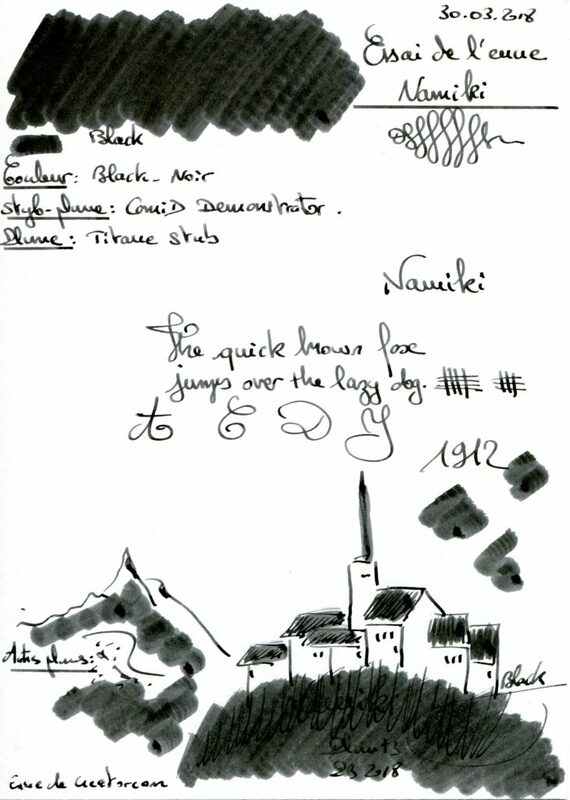 This entry was posted in Black Inks, Namiki on 1 April 2018 by Pascal. 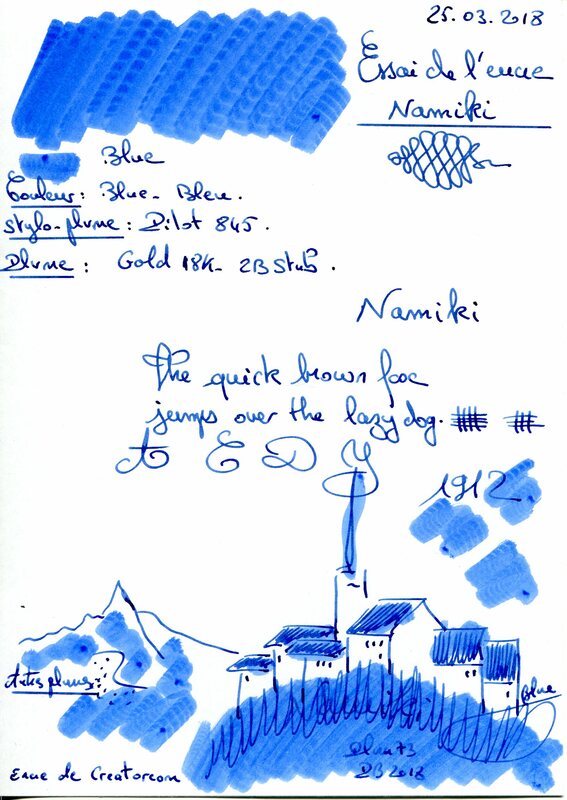 This entry was posted in Blue Inks, Namiki on 25 March 2018 by Pascal. 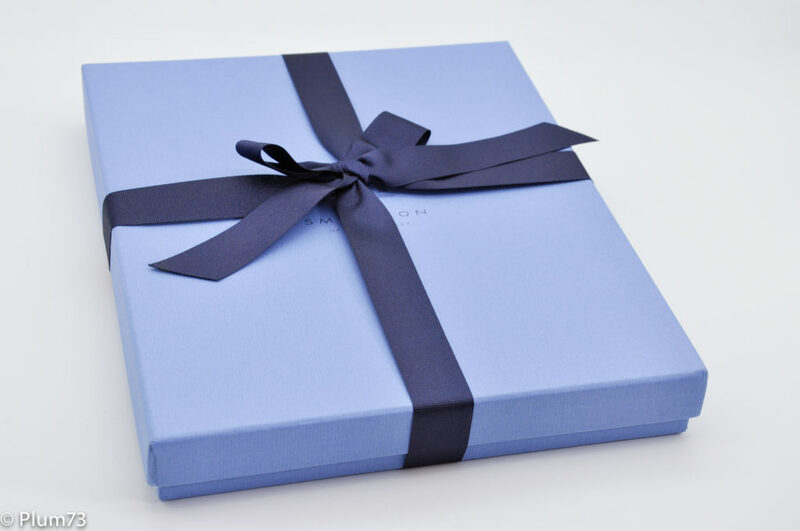 This entry was posted in Grey Comparatives on 17 March 2018 by Pascal. 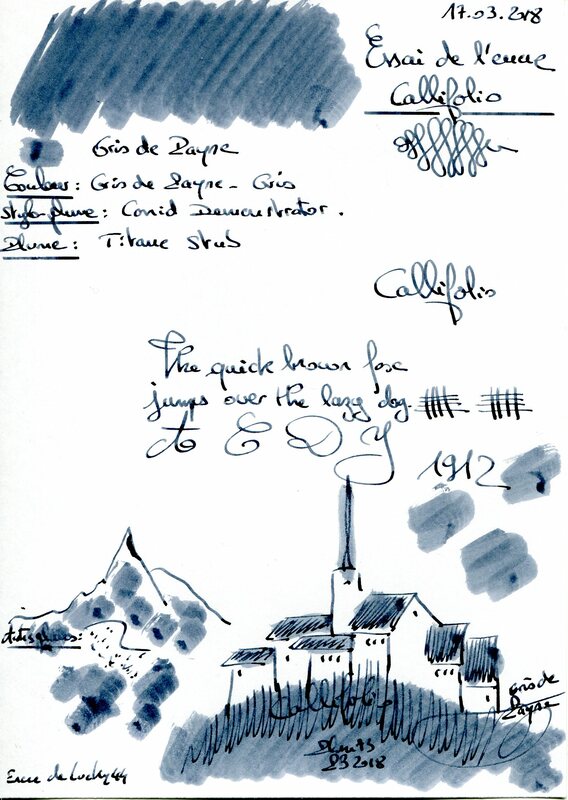 This entry was posted in Grey Inks, L'Artisan Pastellier - Callifolio on 17 March 2018 by Pascal. 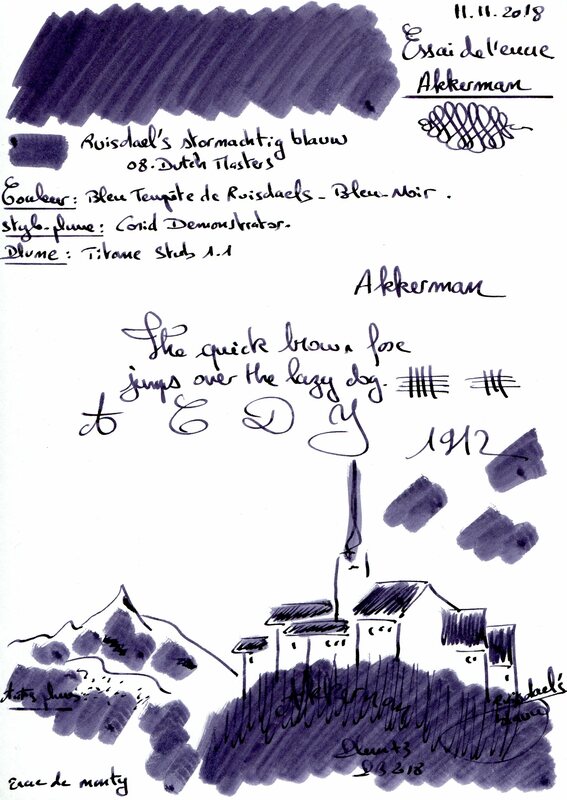 This entry was posted in Akkerman, Blue-Black Inks on 17 March 2018 by Pascal. 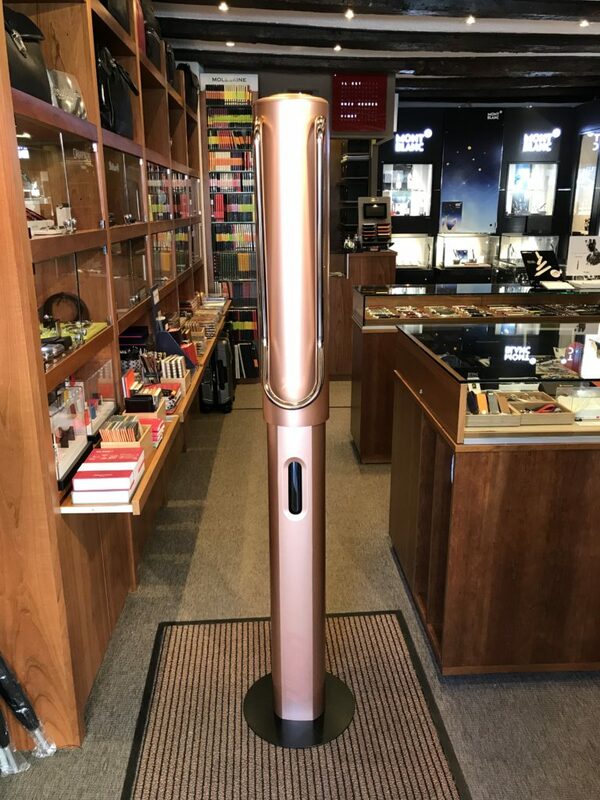 This entry was posted in Newton on 13 March 2018 by Pascal. 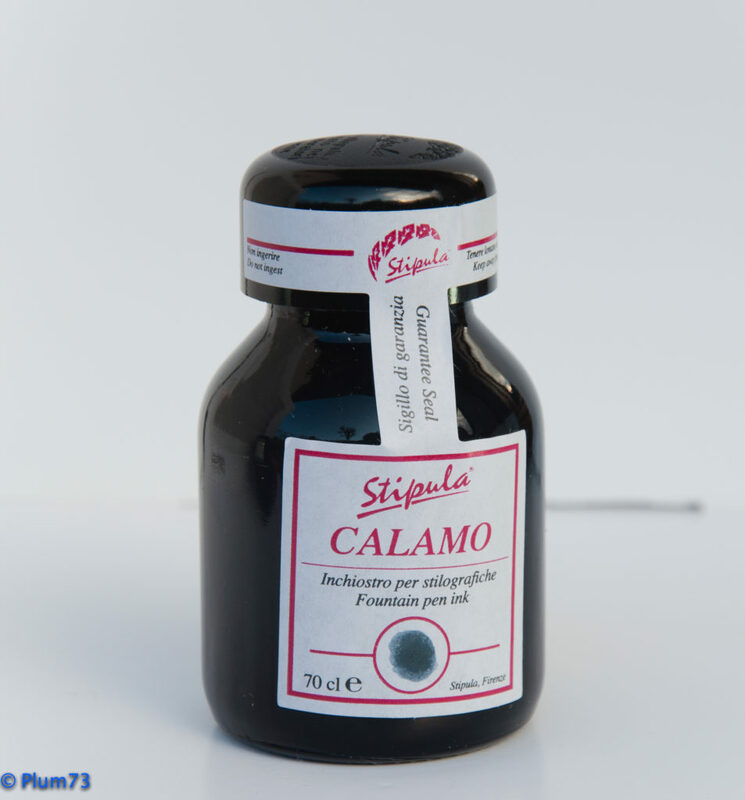 This entry was posted in Stipula on 13 March 2018 by Pascal. 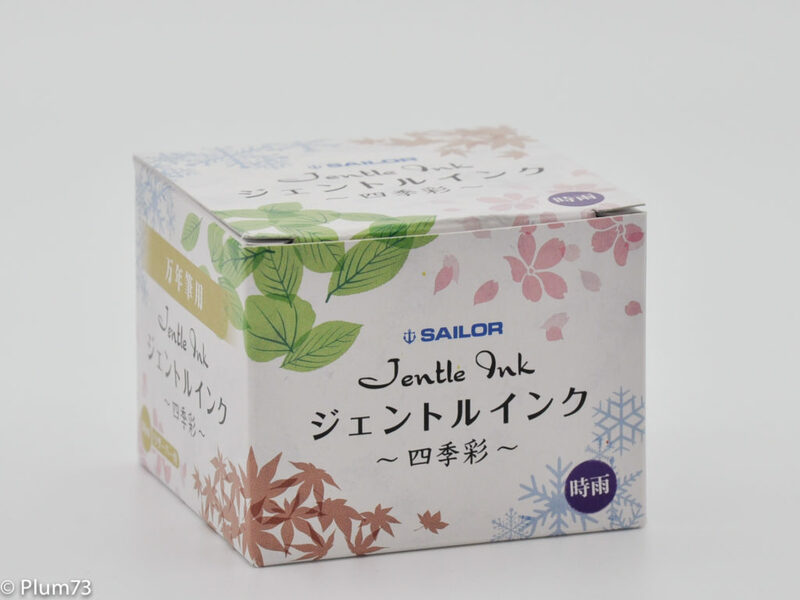 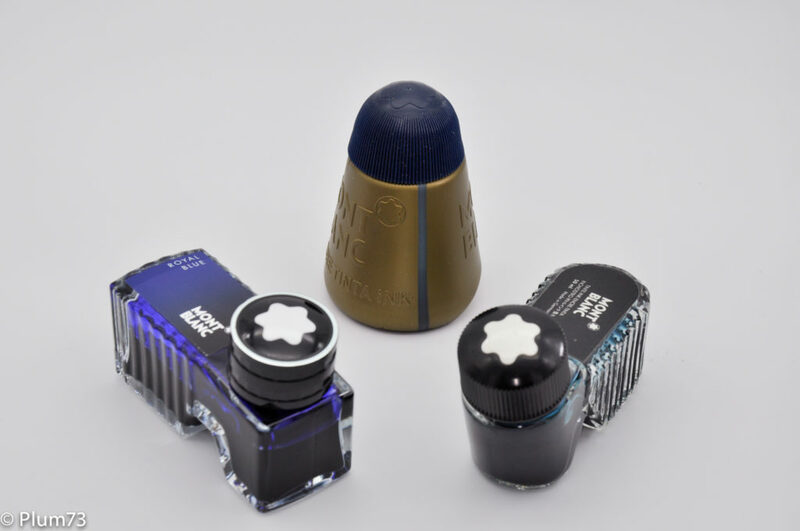 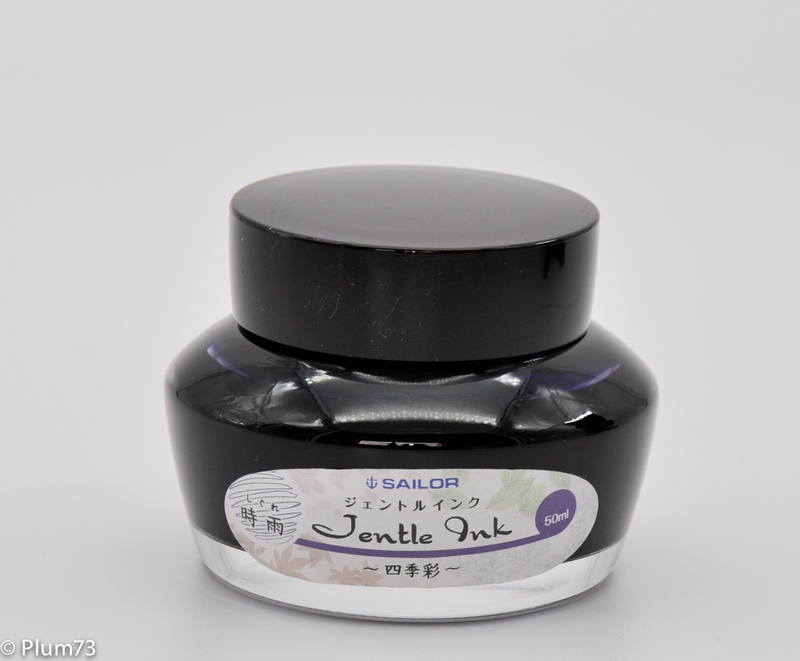 Les encriers classiques “Sailor Jentle ink” de 50 ml sont disponibles uniquement en 3 couleurs: noir, bleu et bleu-noir. 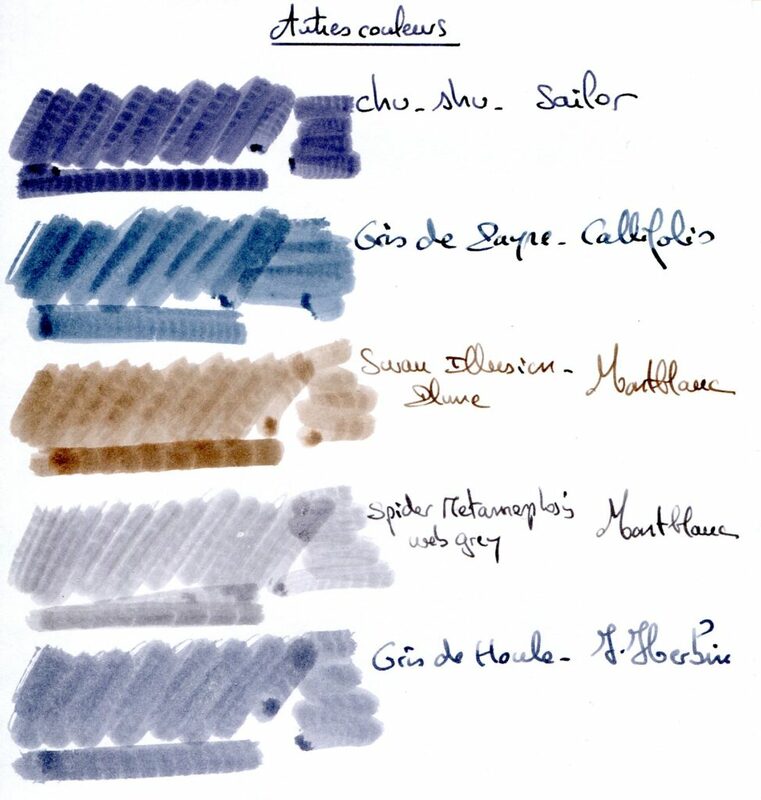 Une édition spéciale “couleurs des quatre saisons” propose 8 couleurs supplémentaires dans des encriers de 50 ml également. 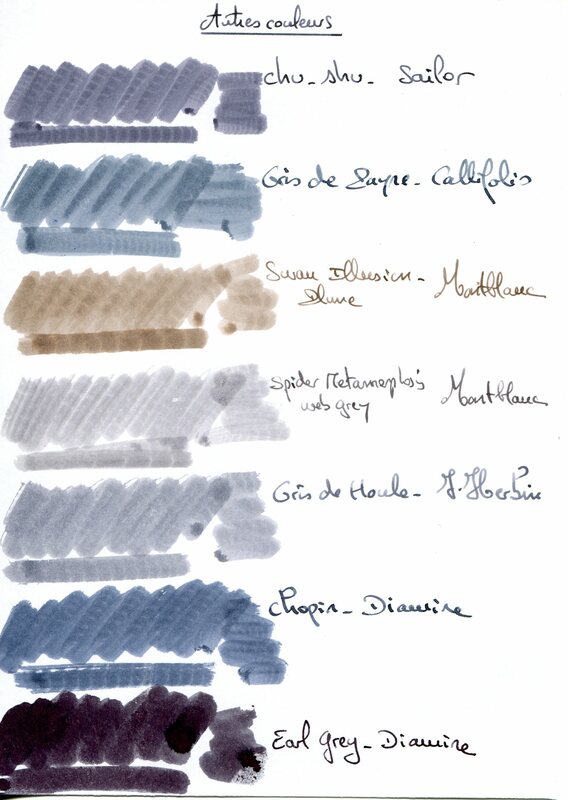 Des encres plus pigmentées ” Storia Pigment Ink” sont disponibles en encrier de 30 ml et 8 couleurs. 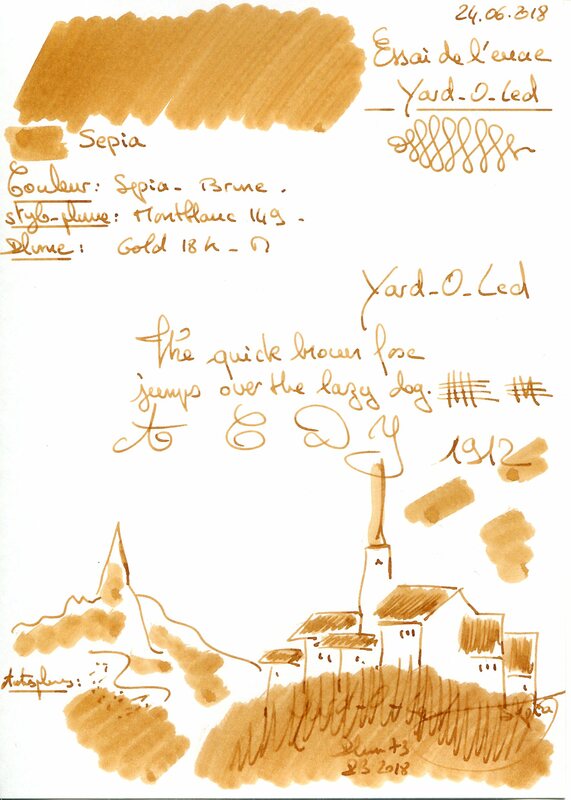 This entry was posted in Sailor on 13 March 2018 by Pascal. 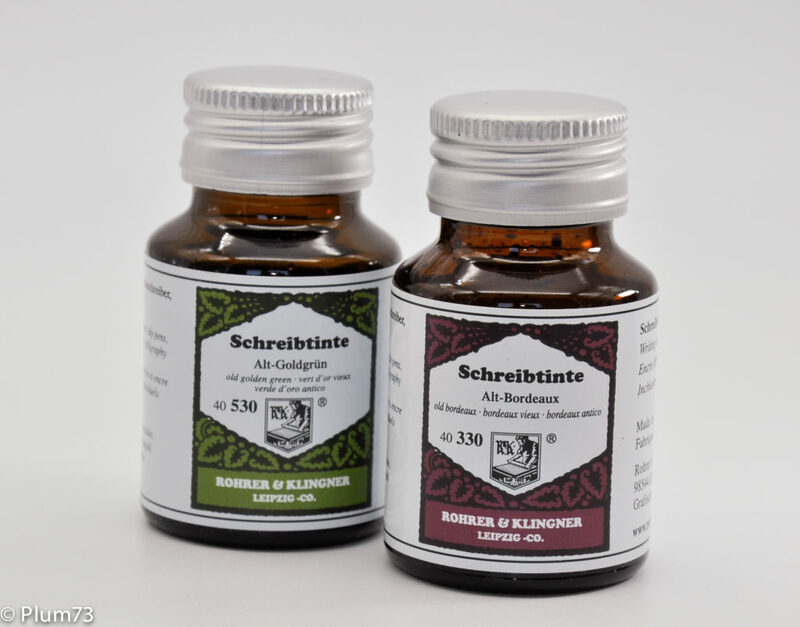 La compagnie “Rohrer & Klingner Leipzig Co” créée en 1907 à Leipzig propose encore en 2016 des encres. 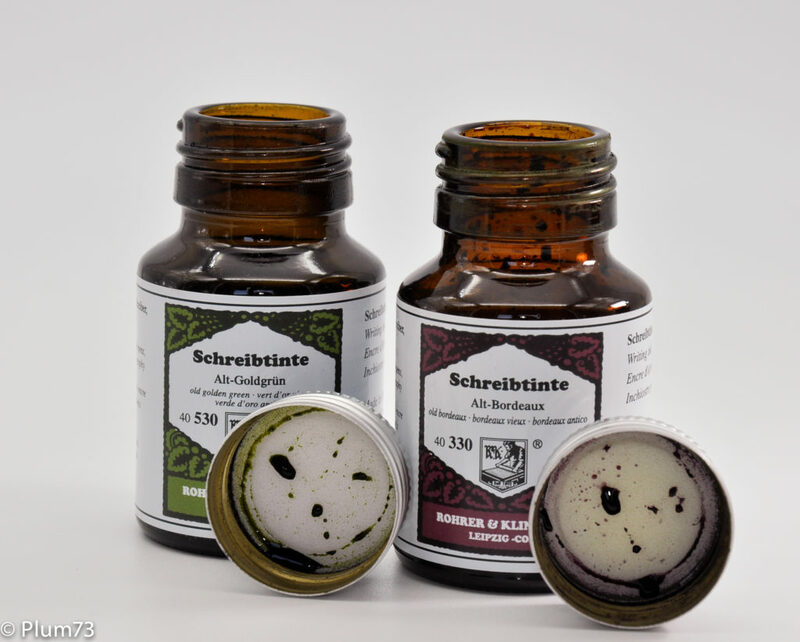 La société a déménagé en 1982 à Zella-Mehlis, au sud d’Erfurt, mais elle conserve encore une direction familiale. 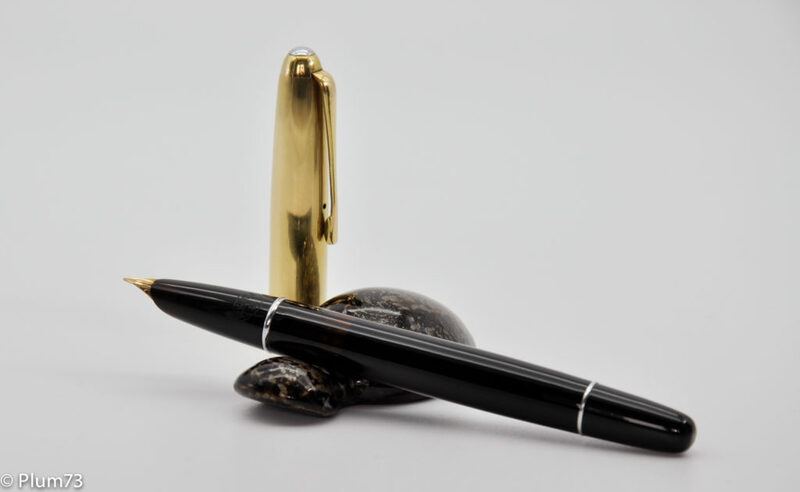 La 5eme génération d’employés fabrique des encres qui font partie de mes préférées. 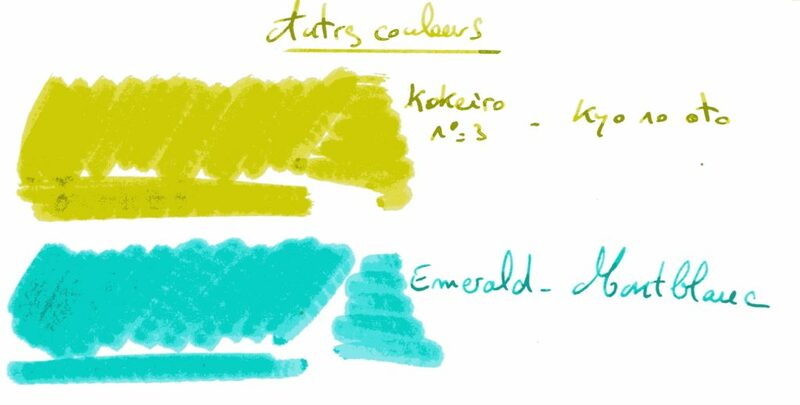 La marque met également à disposition un système “Erka-rapid” pour profiter de votre encre jusqu’à la dernière goutte. 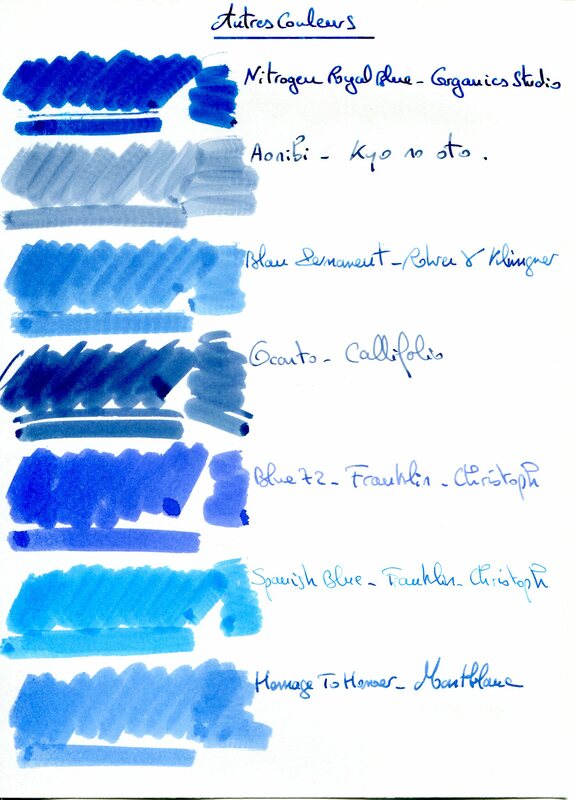 This entry was posted in Rohrer & Klingner on 13 March 2018 by Pascal. 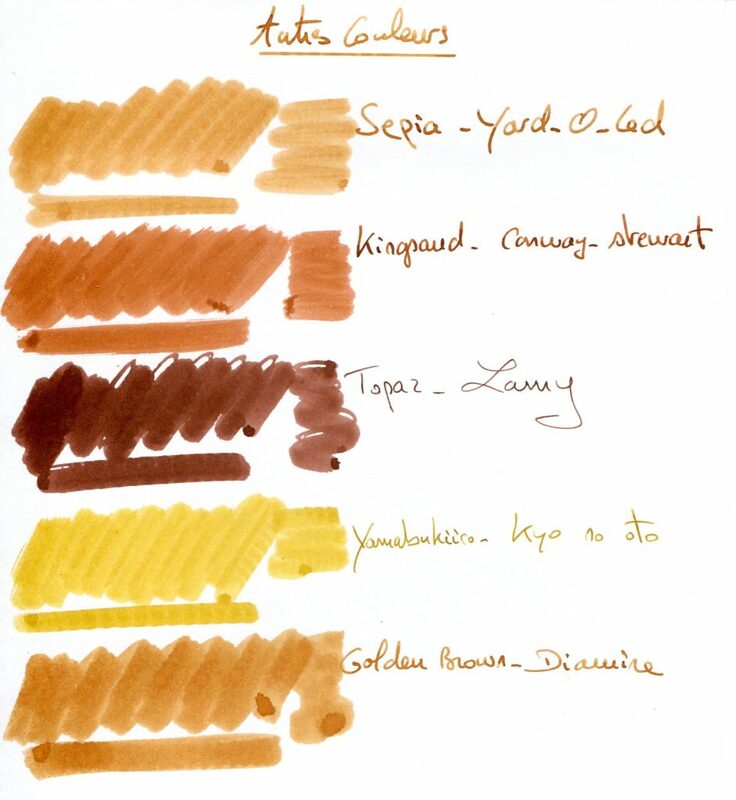 The colour chart is regularly updated. 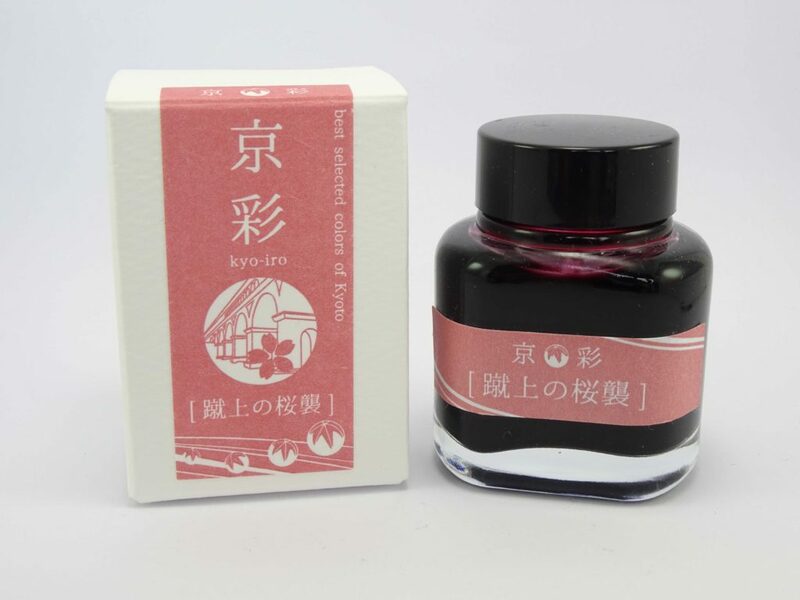 You can take part by sending me new inks.